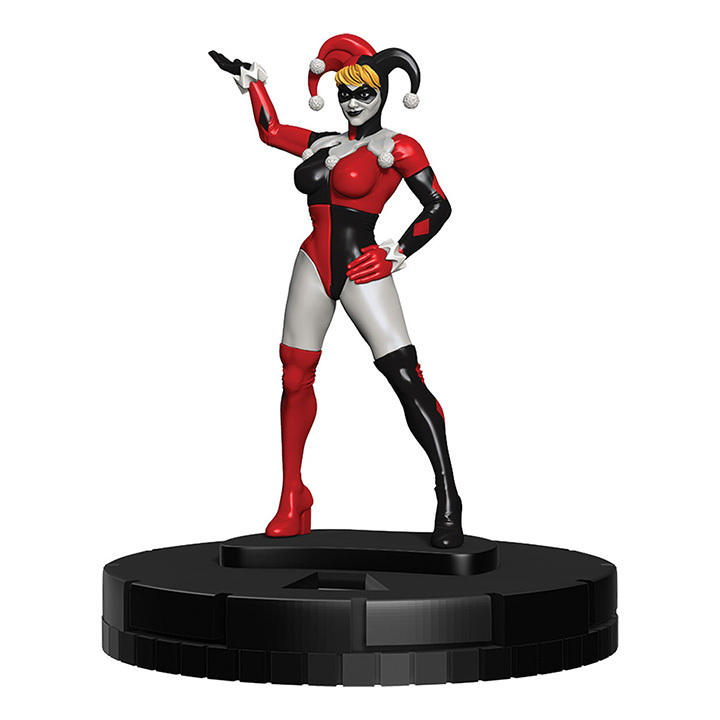 The DC Comics HeroClix: Harley Quinn and the Gotham Girls includes the biggest icons of girl power in the DC Comics Universe! 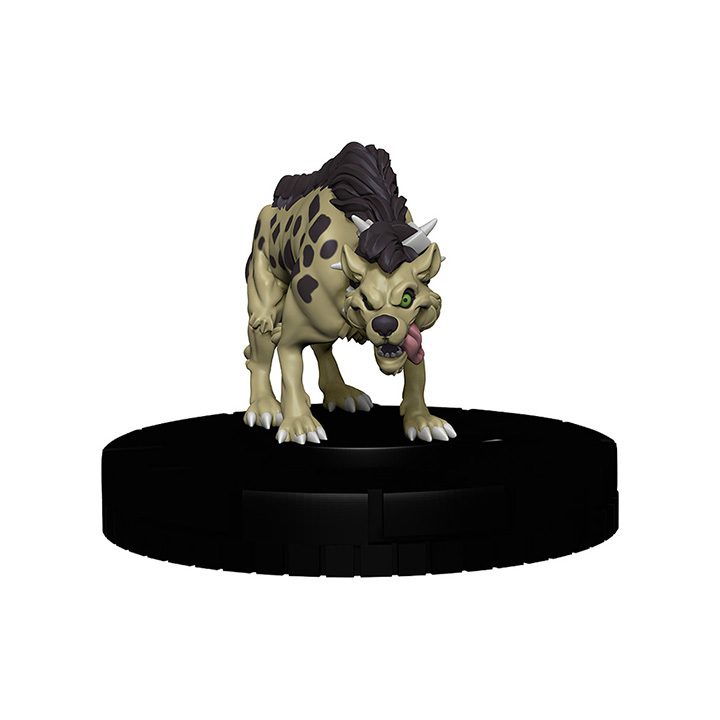 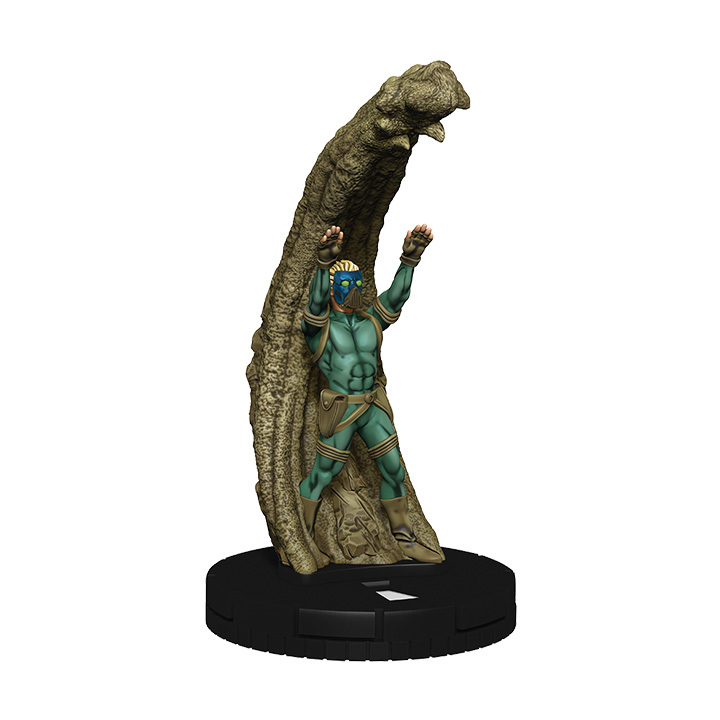 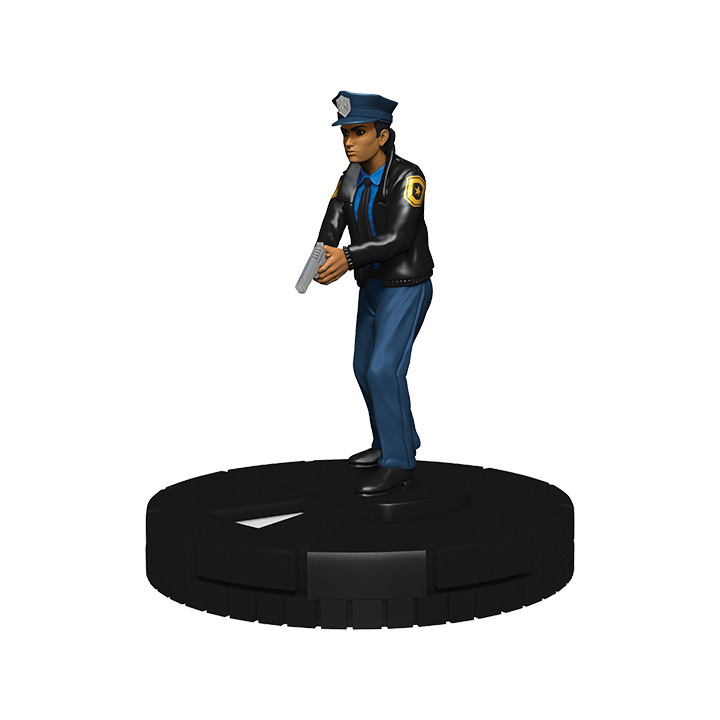 Pre-order at your FLGS today! 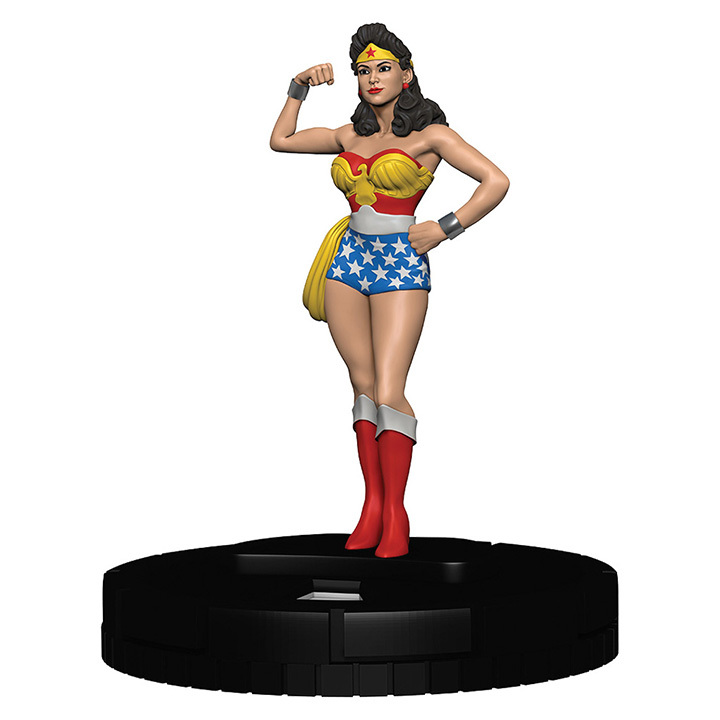 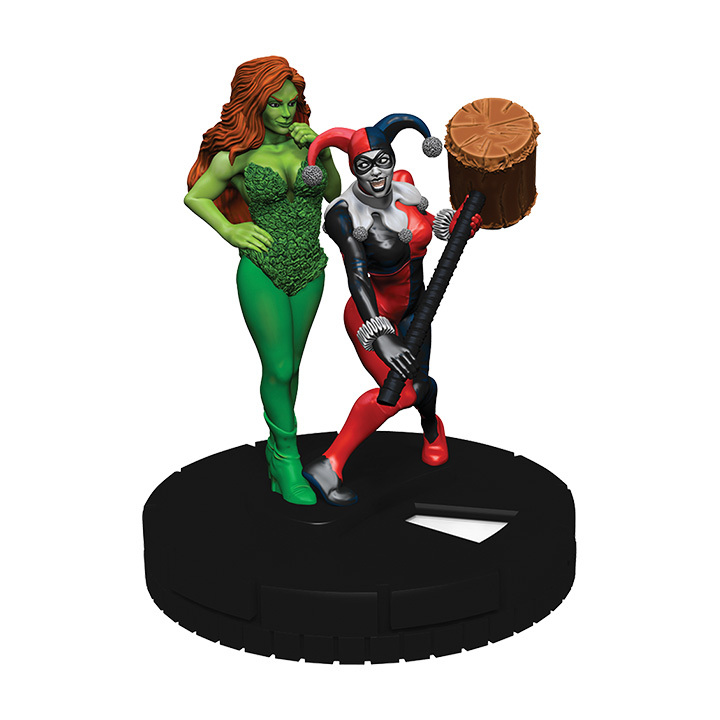 The DC Comics HeroClix: Harley Quinn and the Gotham Girls Booster Brick includes the biggest icons of girl power in the DC Comics Universe from classic characters like Wonder Woman to newer characters like Harley Quinn and her hyenas. 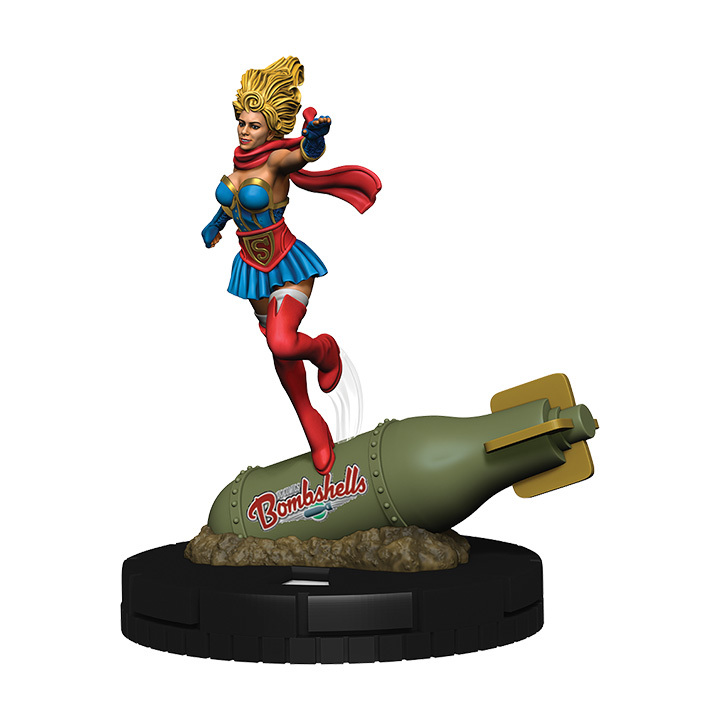 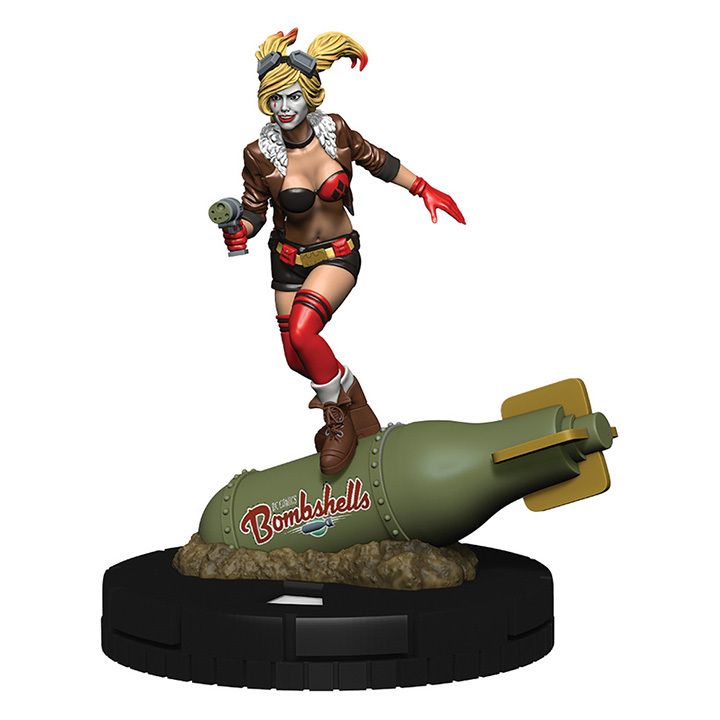 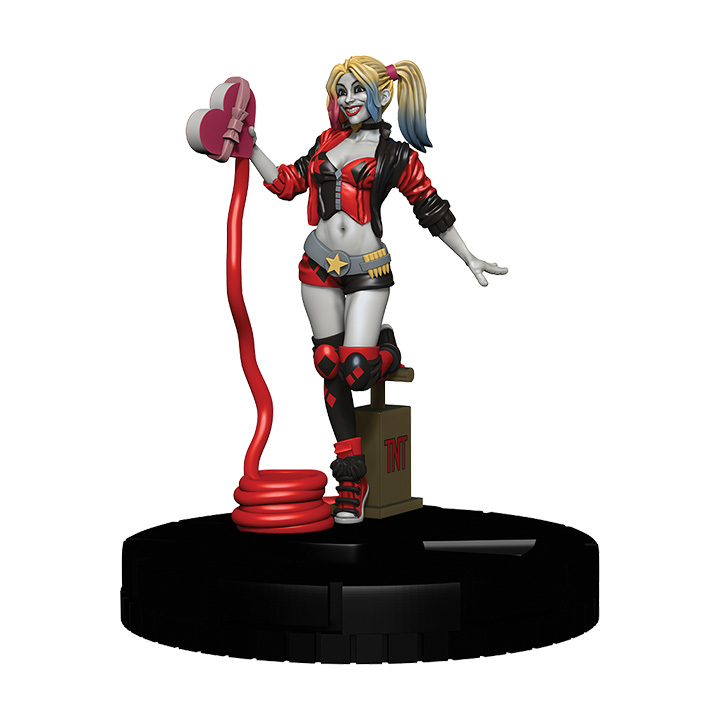 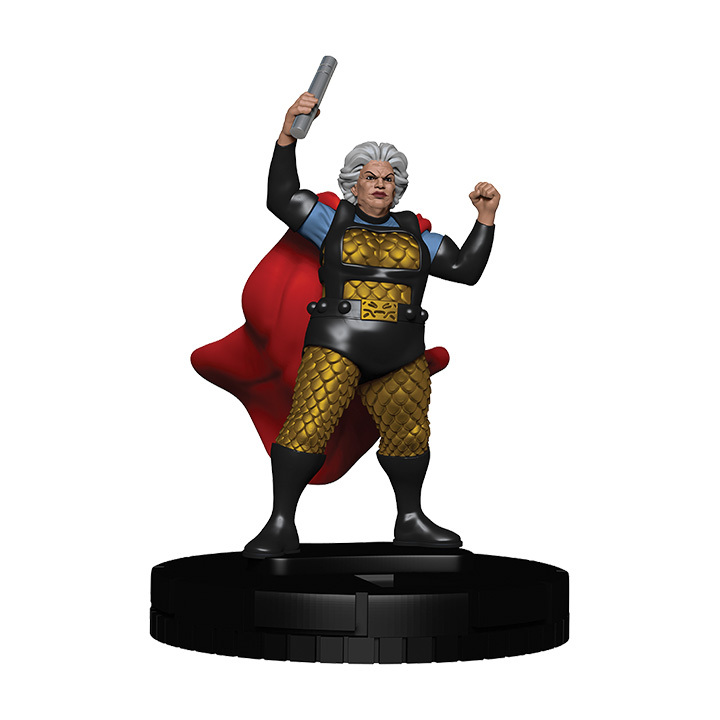 HeroClix fans will get to enjoy all-new versions of Harley Quinn, DC Bombshell versions of beloved heroines, and extra-dangerous members of the Suicide Squad. 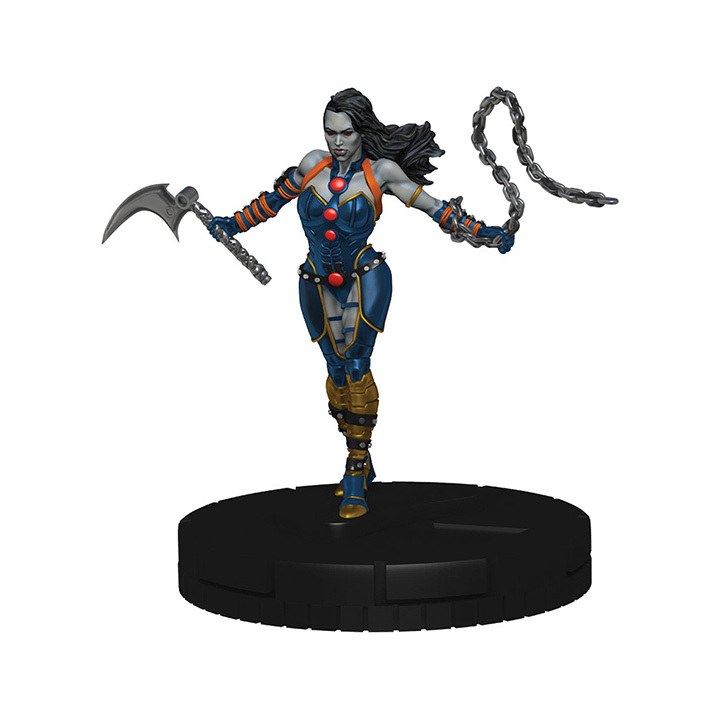 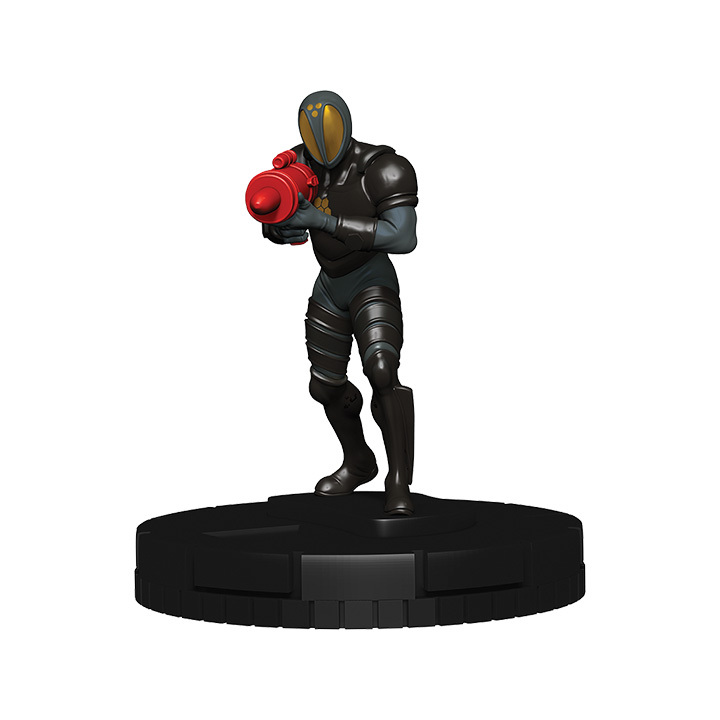 Whether you’re in the streets of Gotham, outer space, or Arkham Asylum, Harley and her crew will help you bring action and mayhem to the HeroClix tabletop like never before! 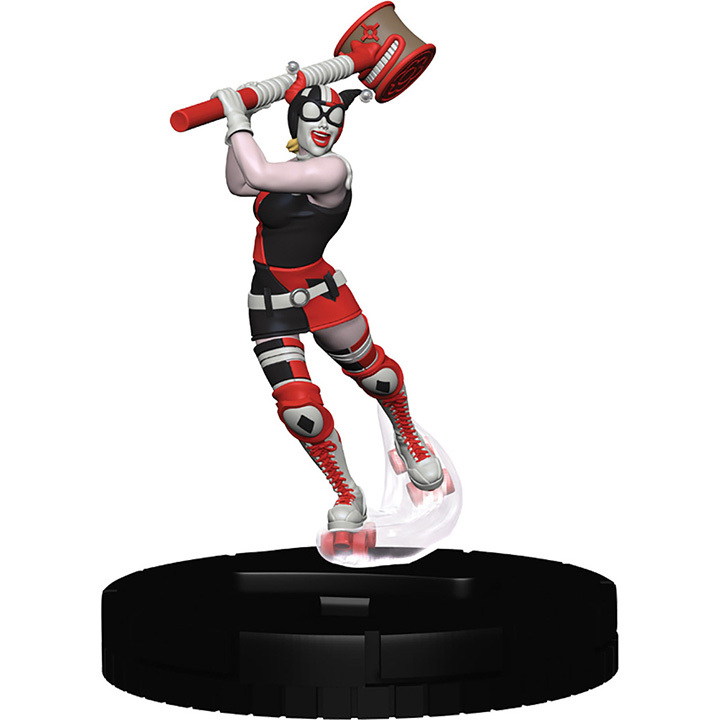 With more than 60 figures to collect, DC Comics HeroClix: Harley Quinn and the Gotham Girls Booster Brick is sure to be on many HeroClix players’ wish lists. 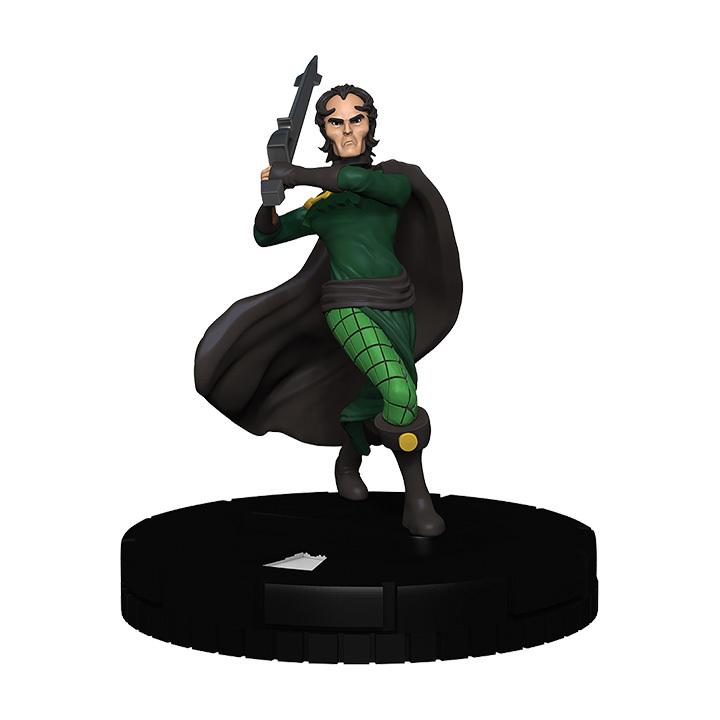 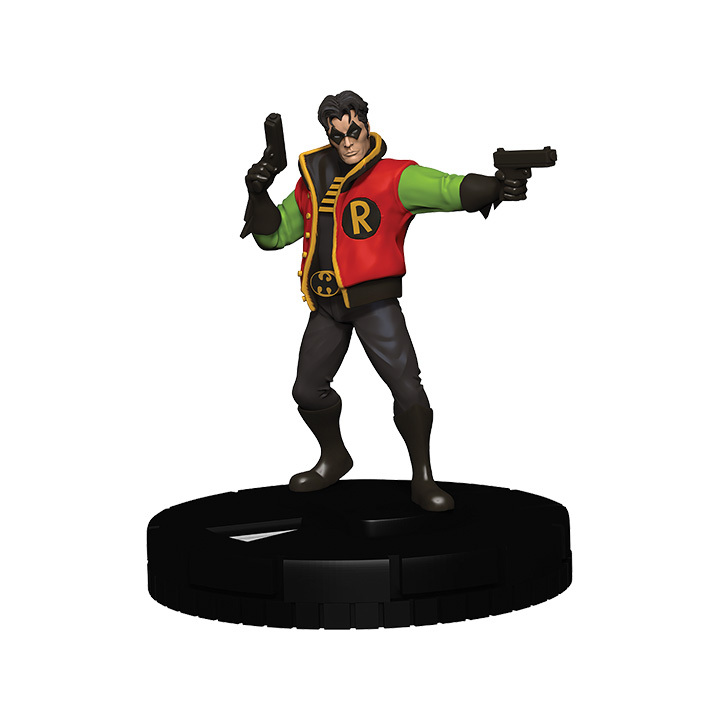 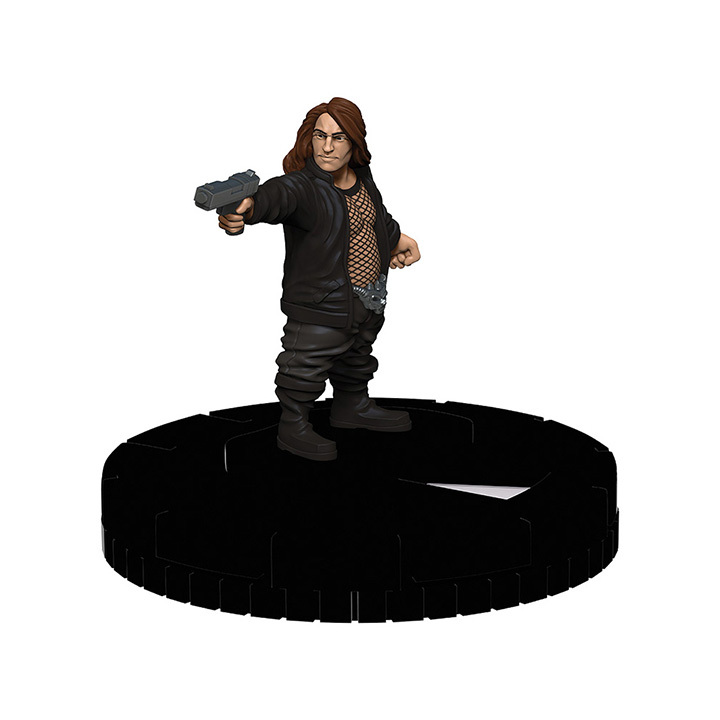 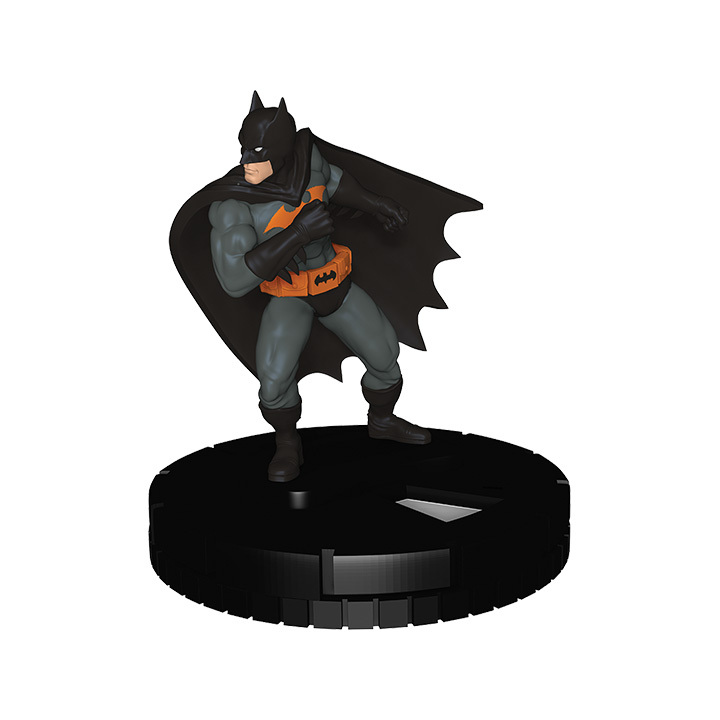 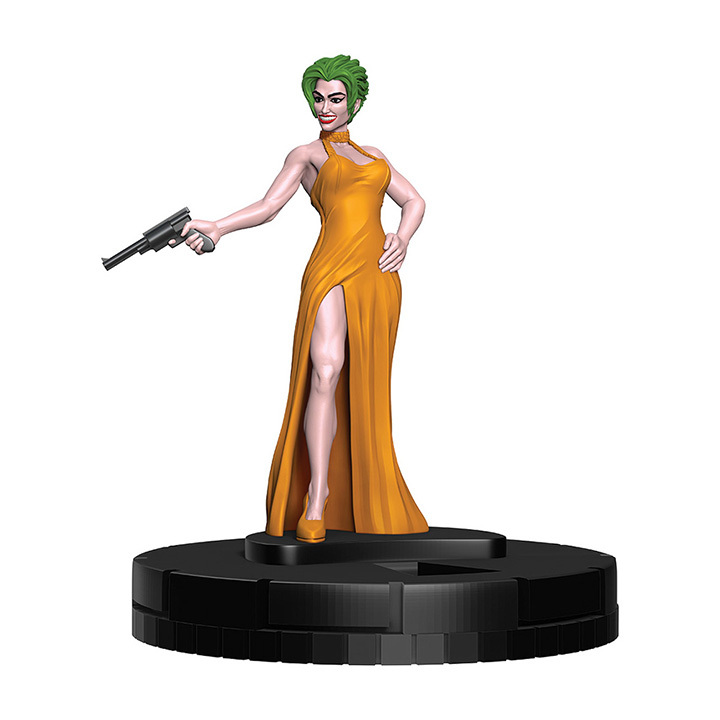 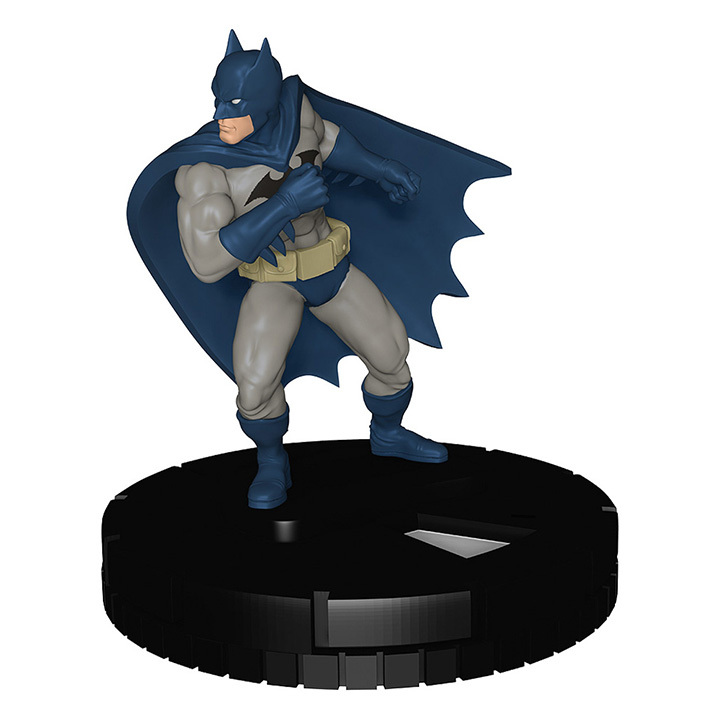 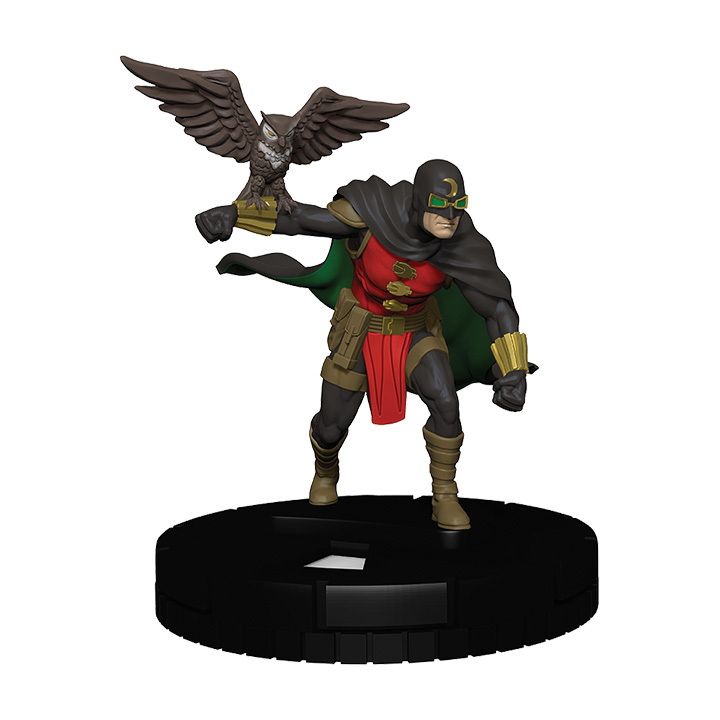 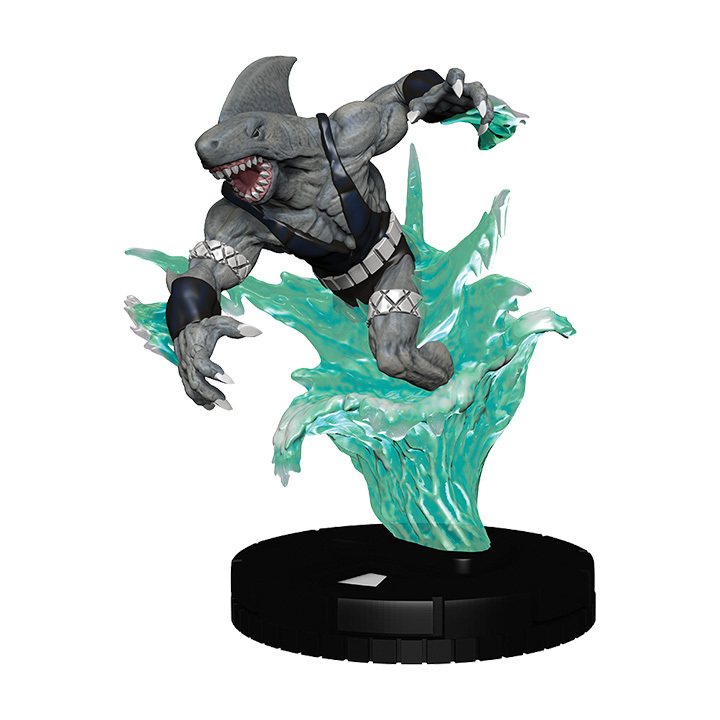 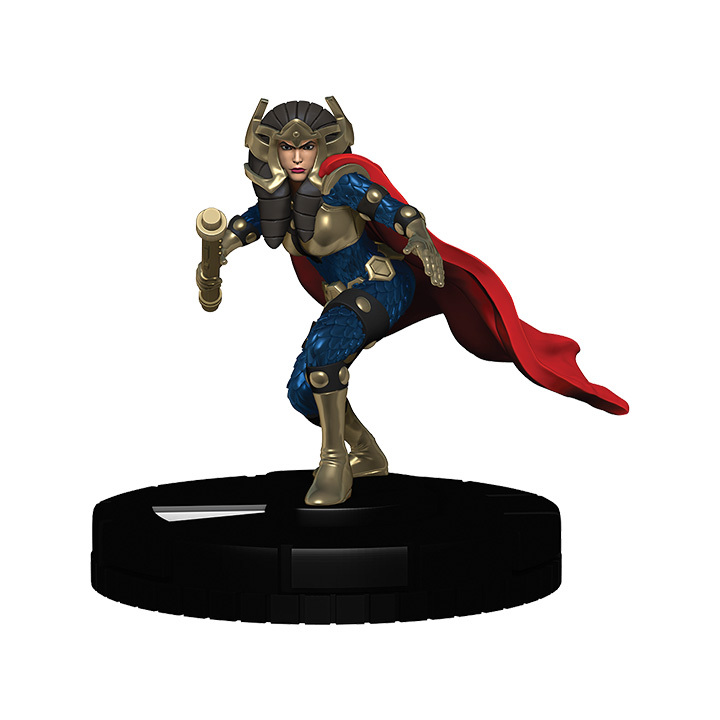 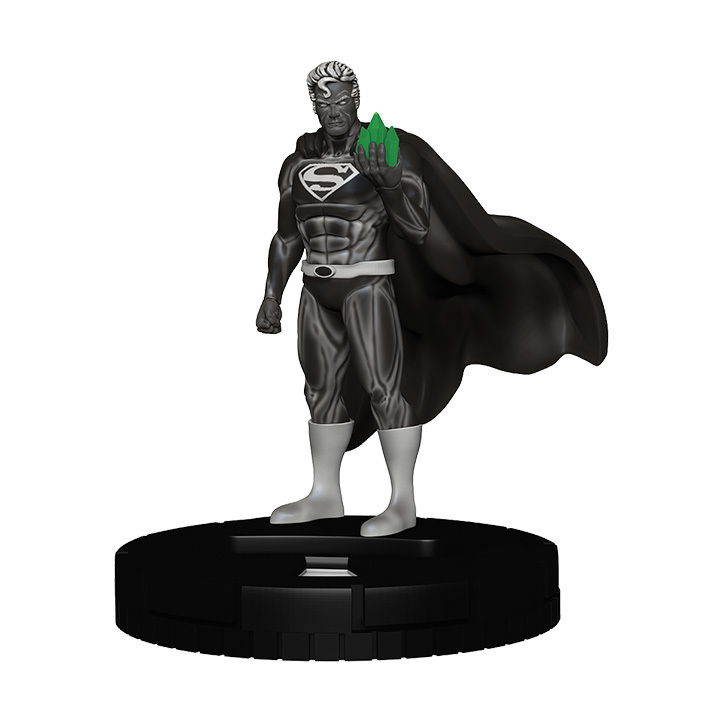 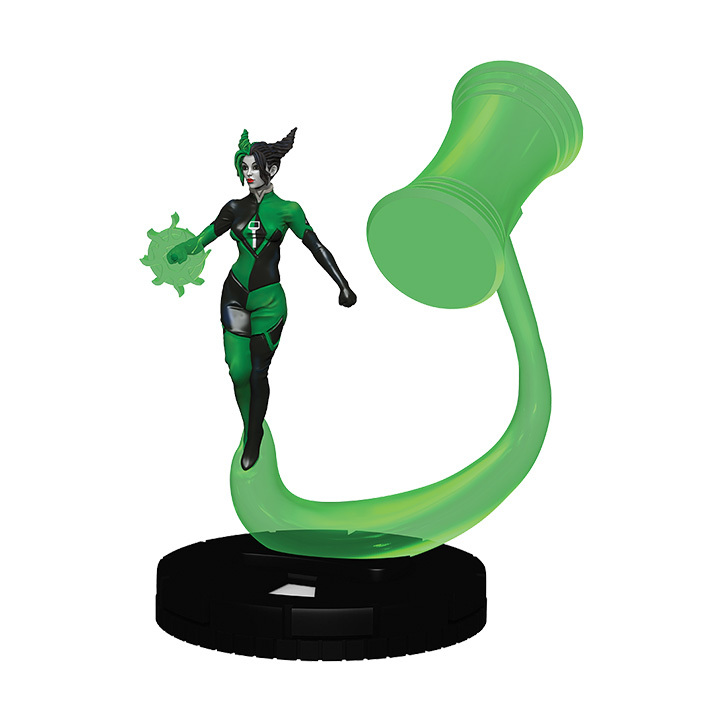 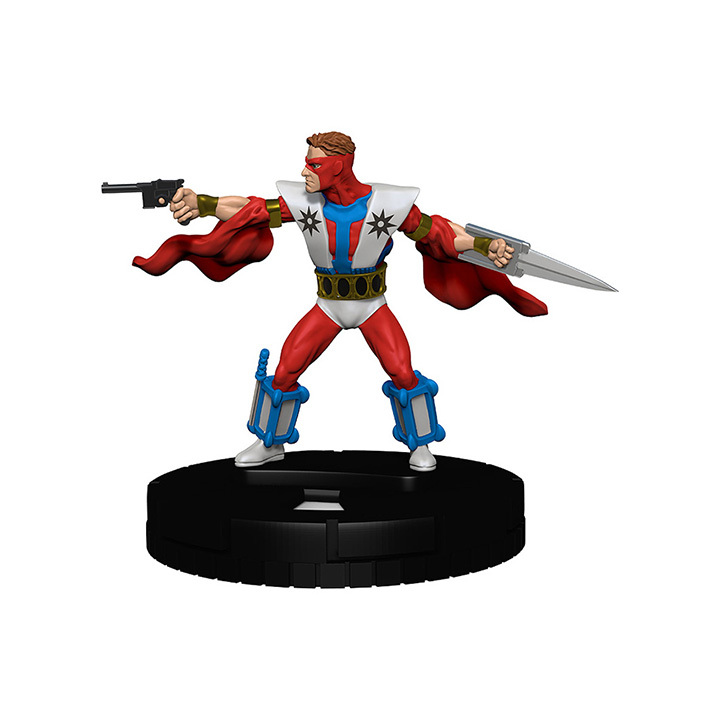 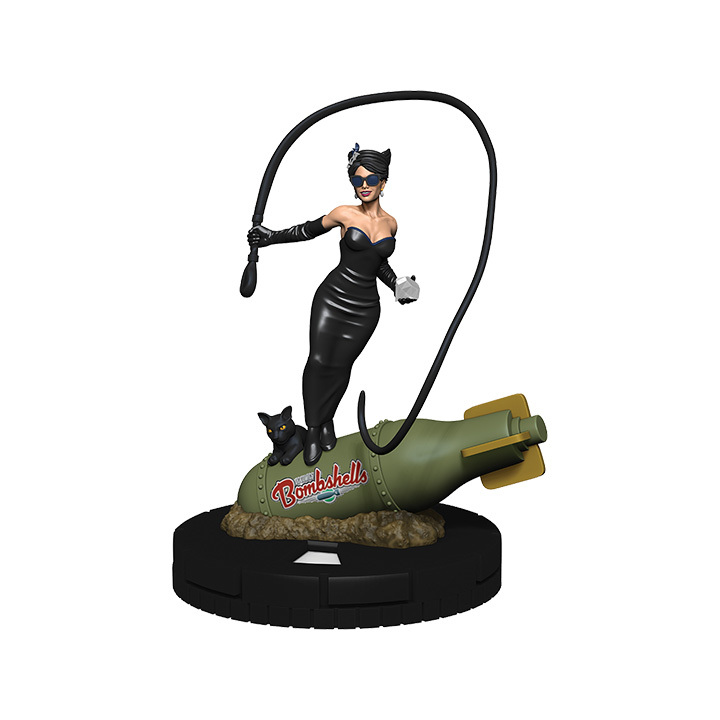 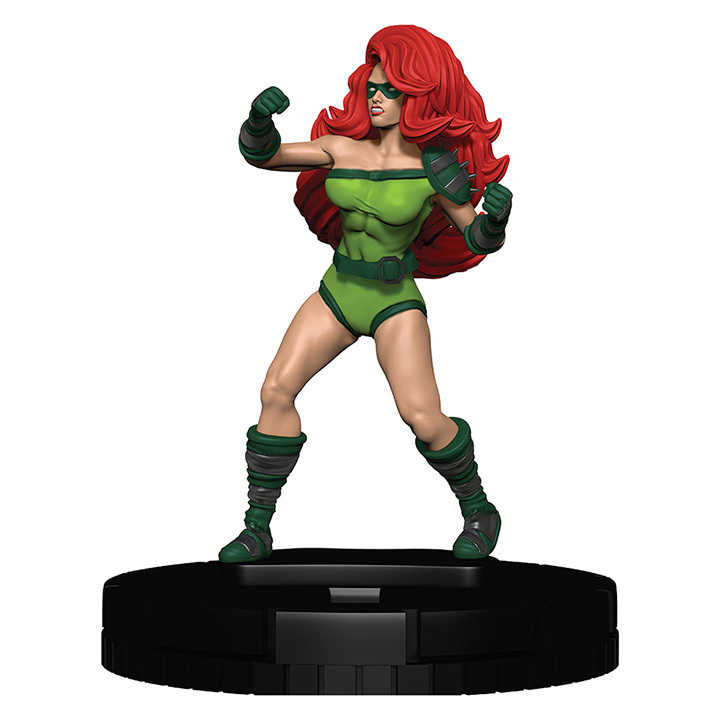 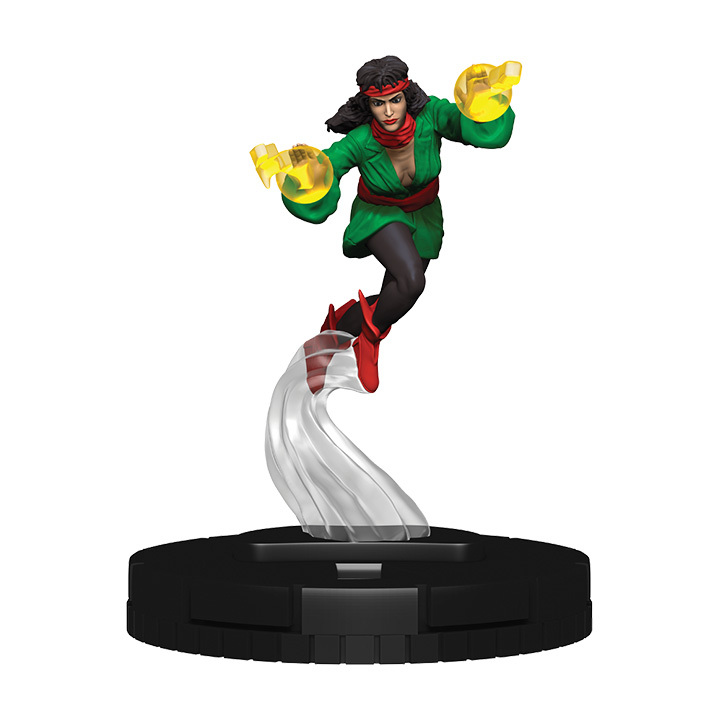 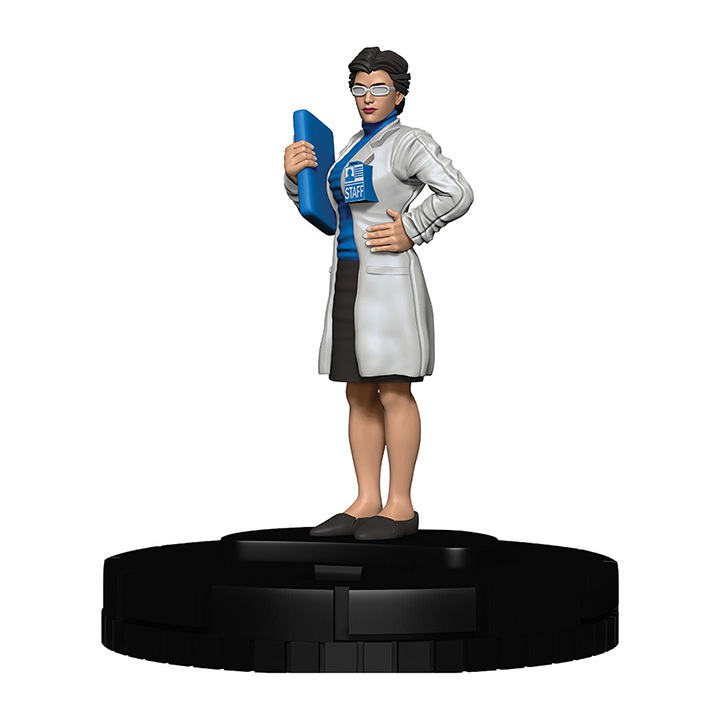 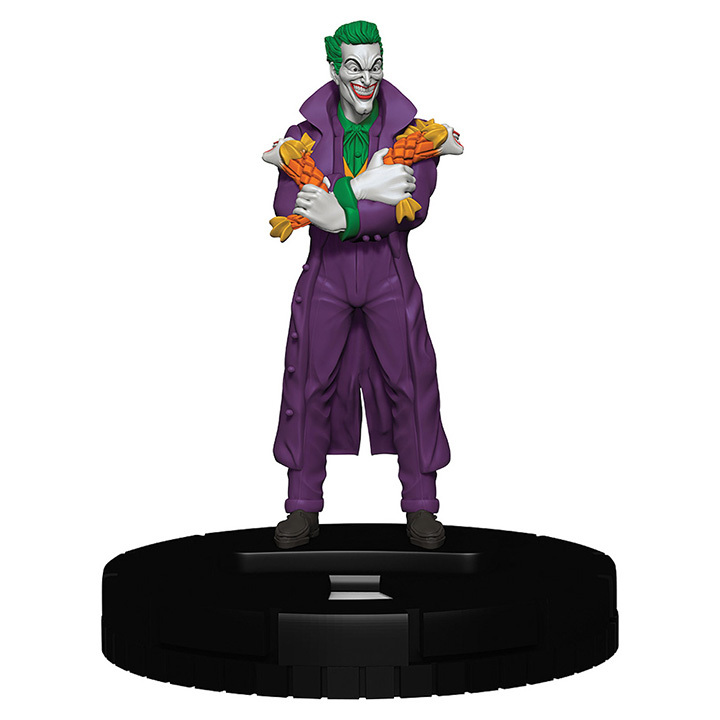 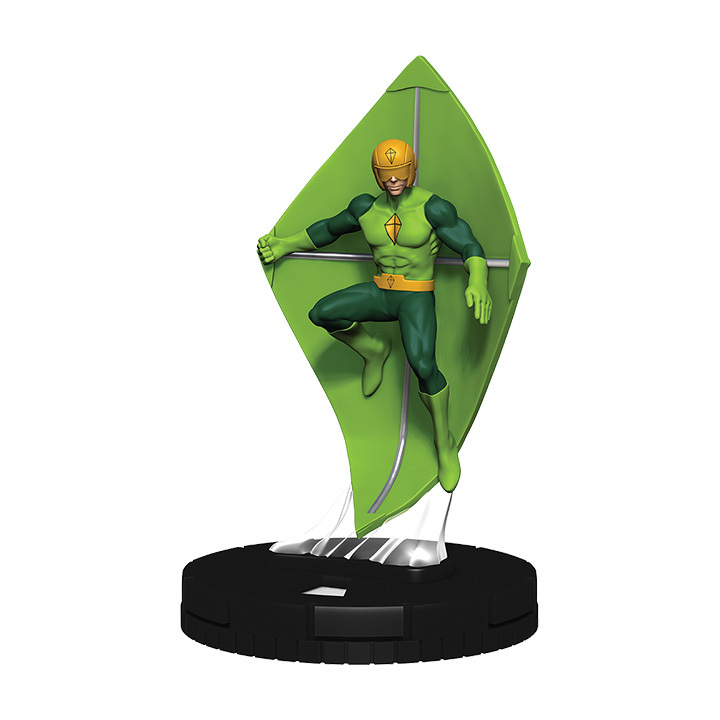 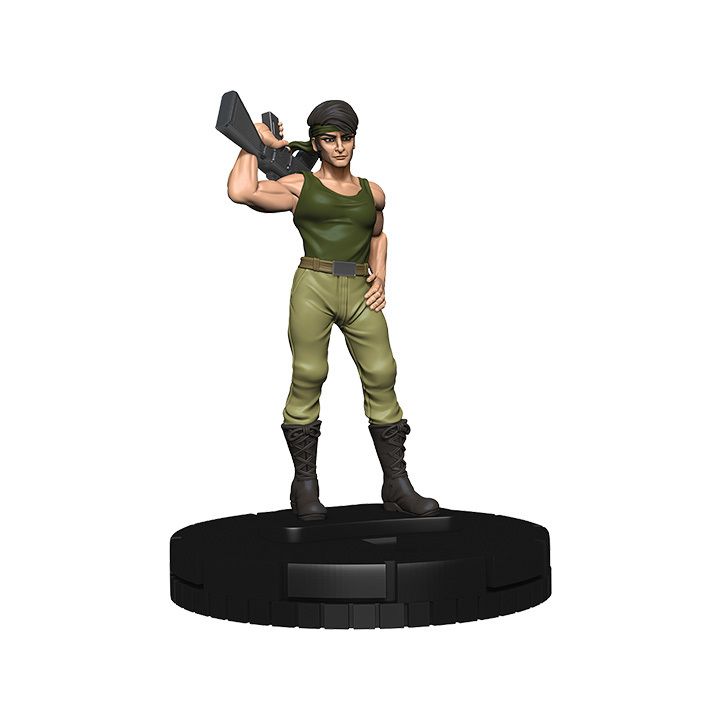 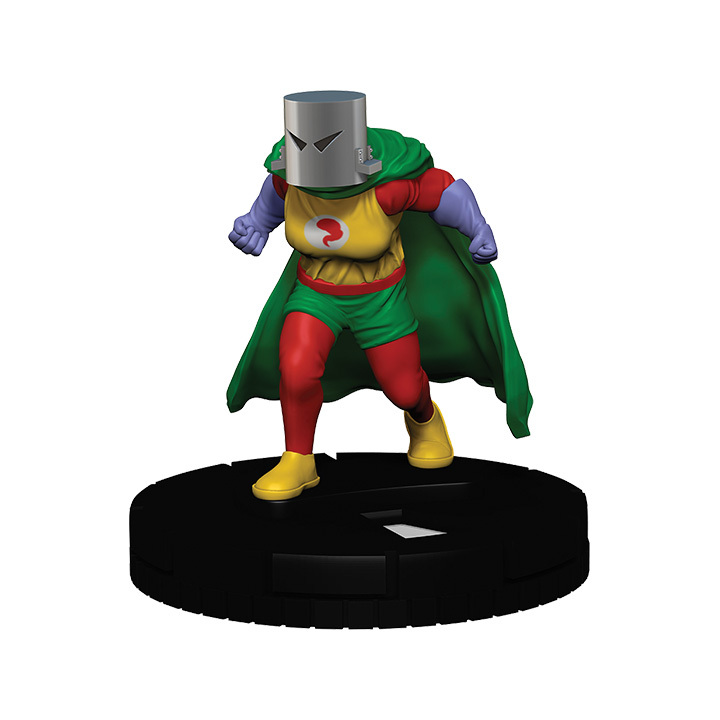 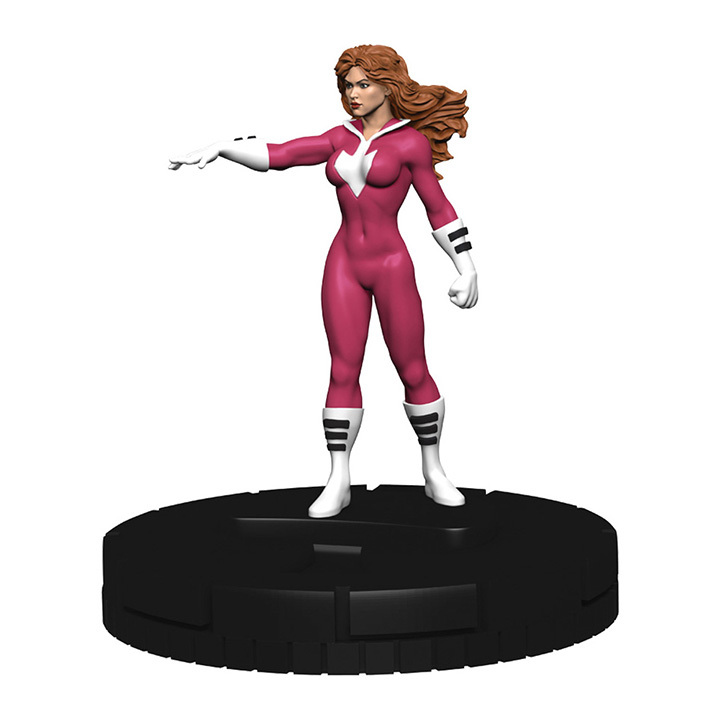 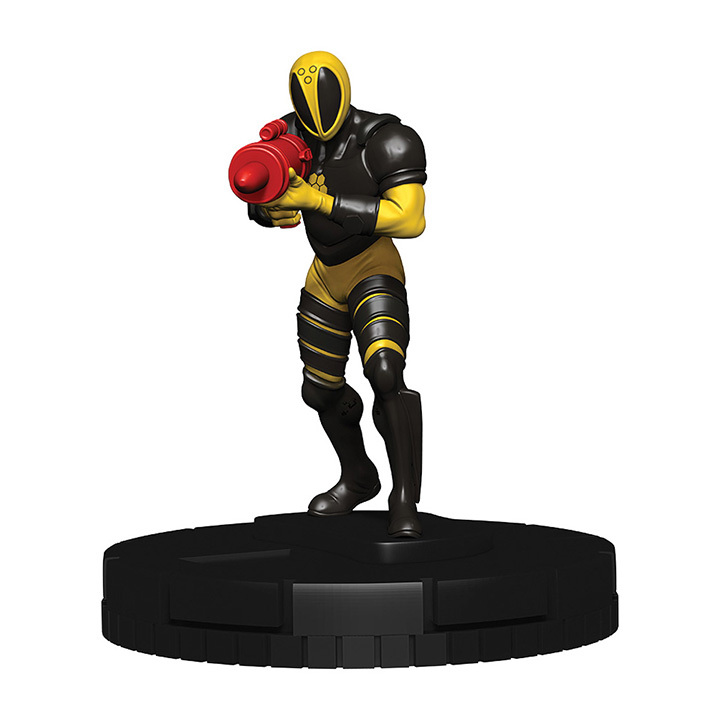 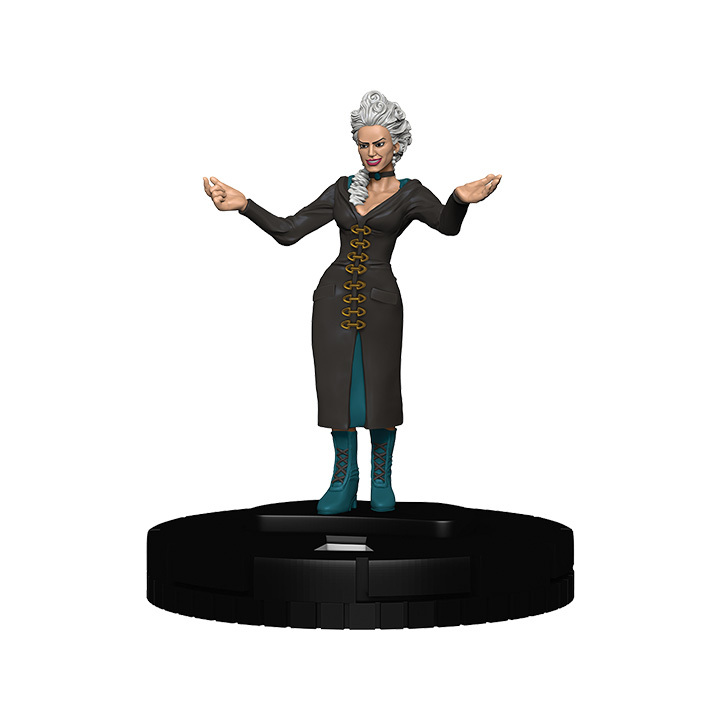 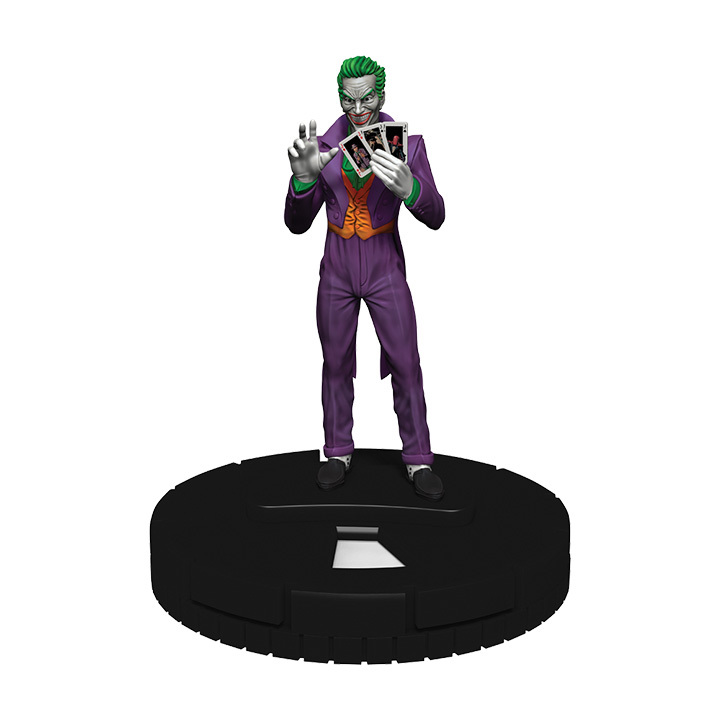 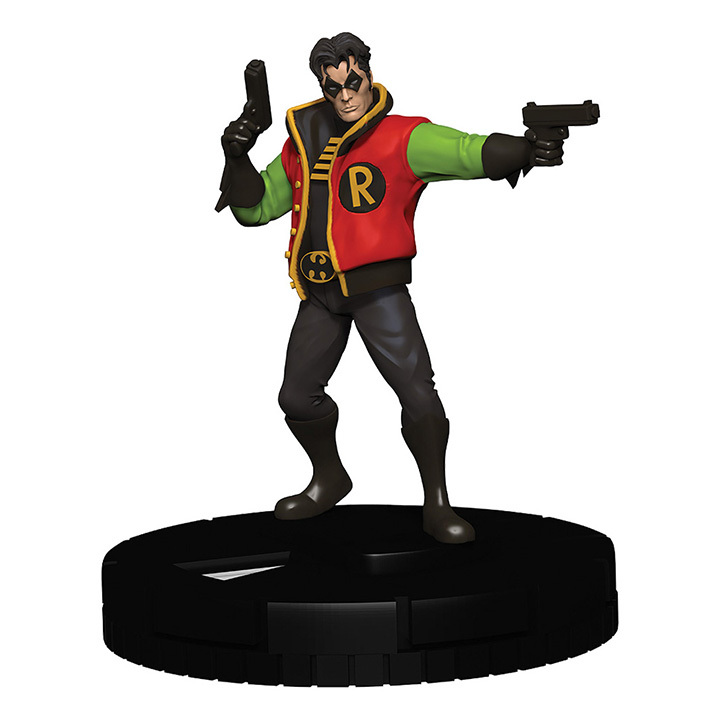 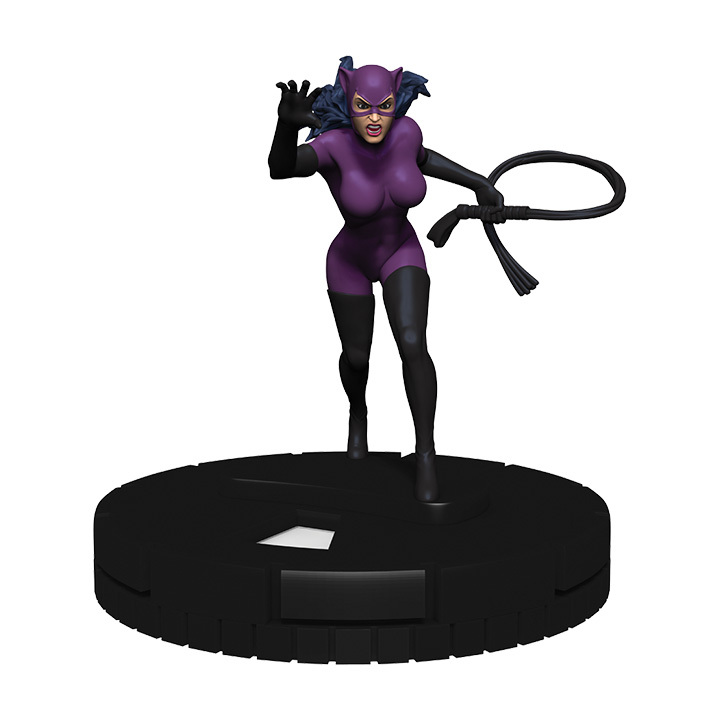 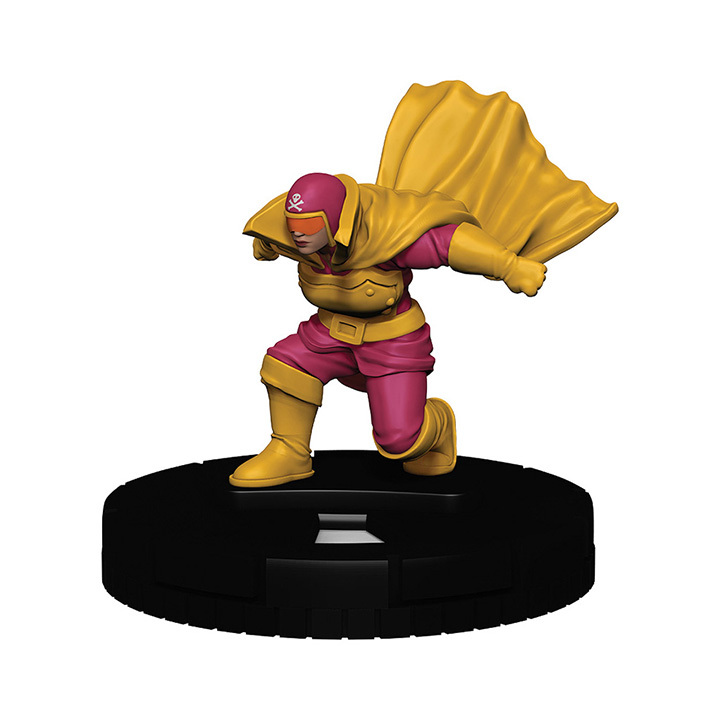 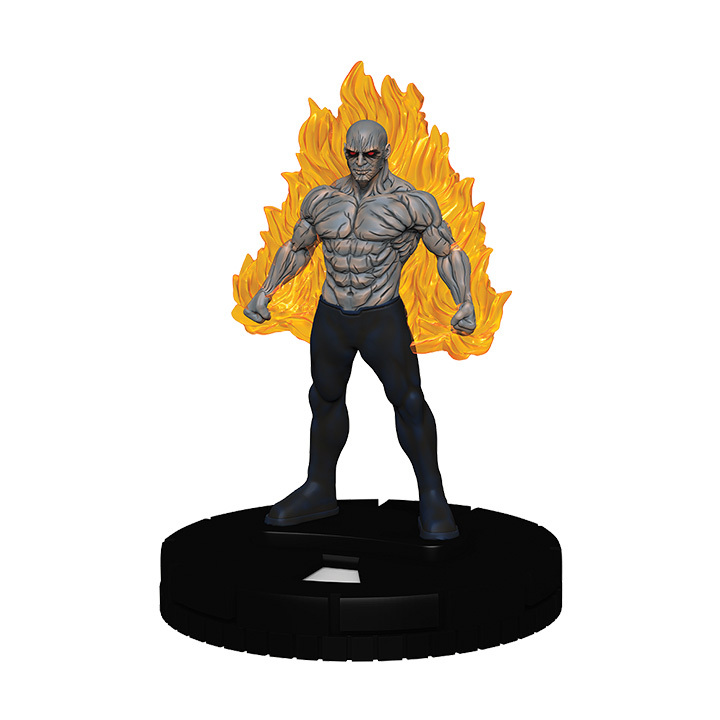 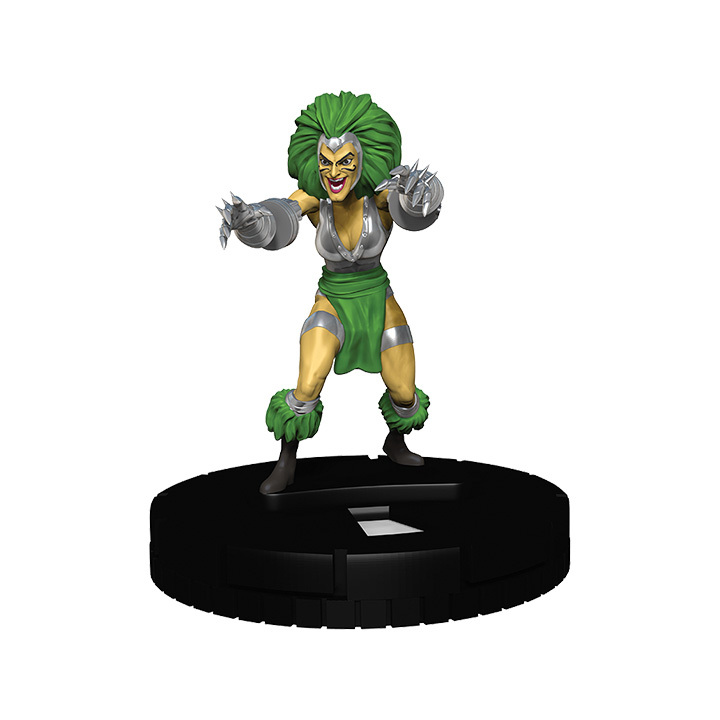 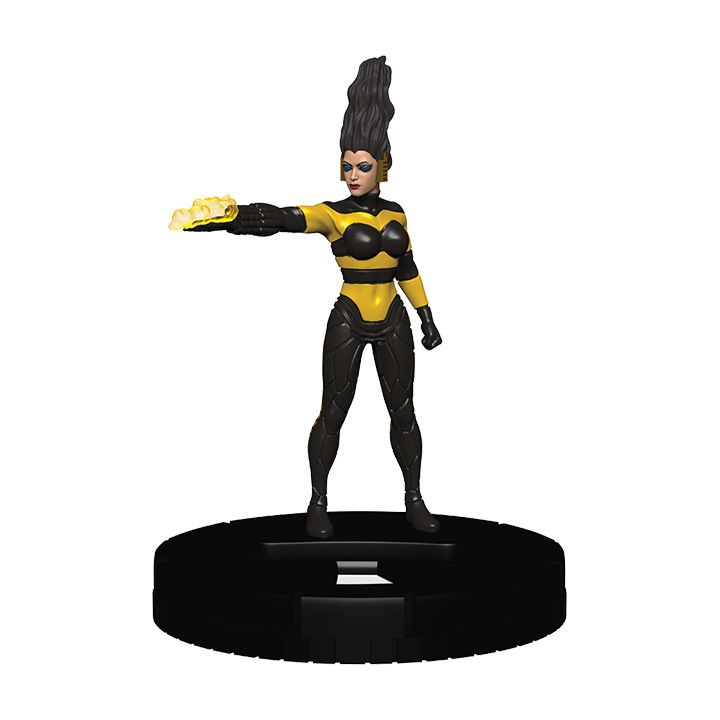 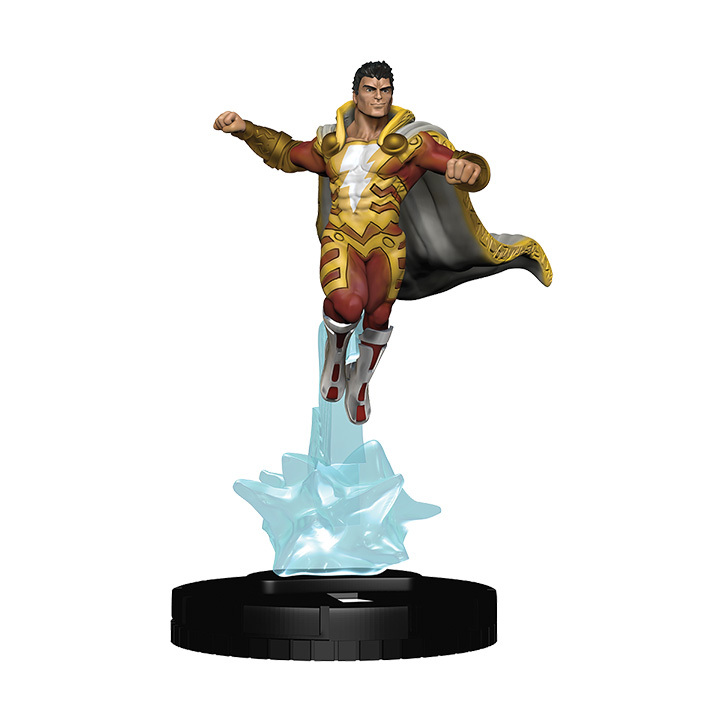 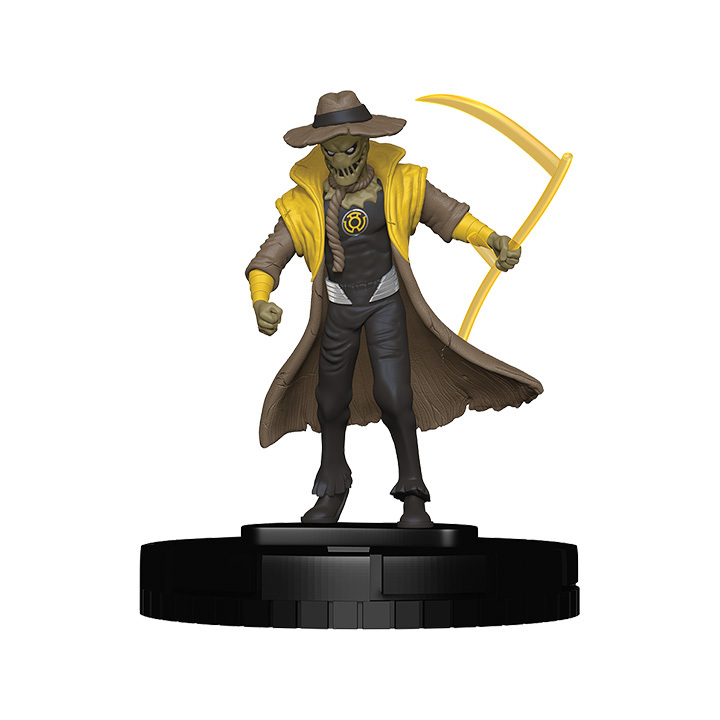 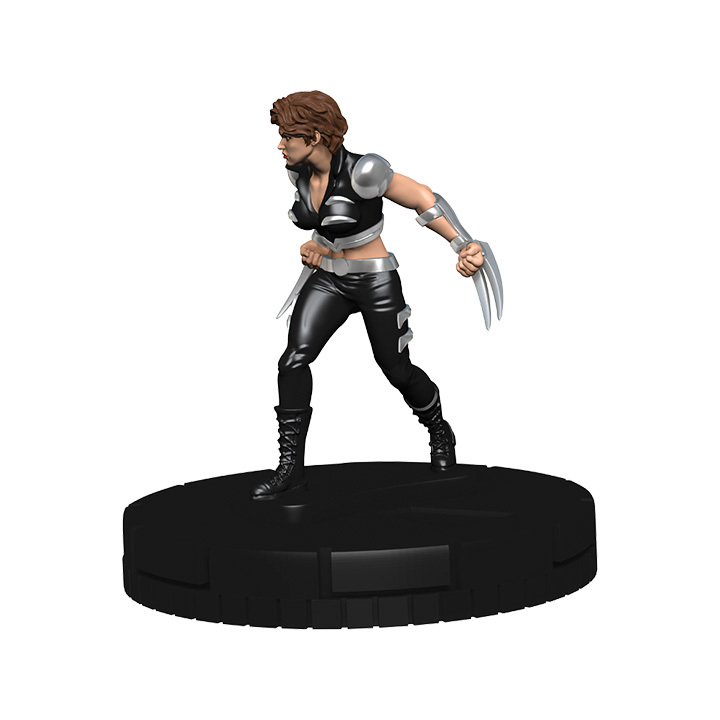 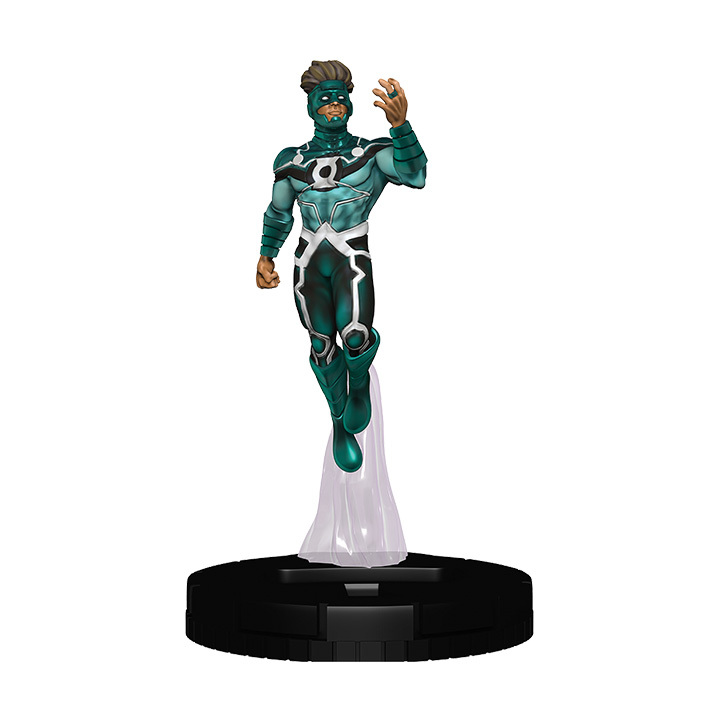 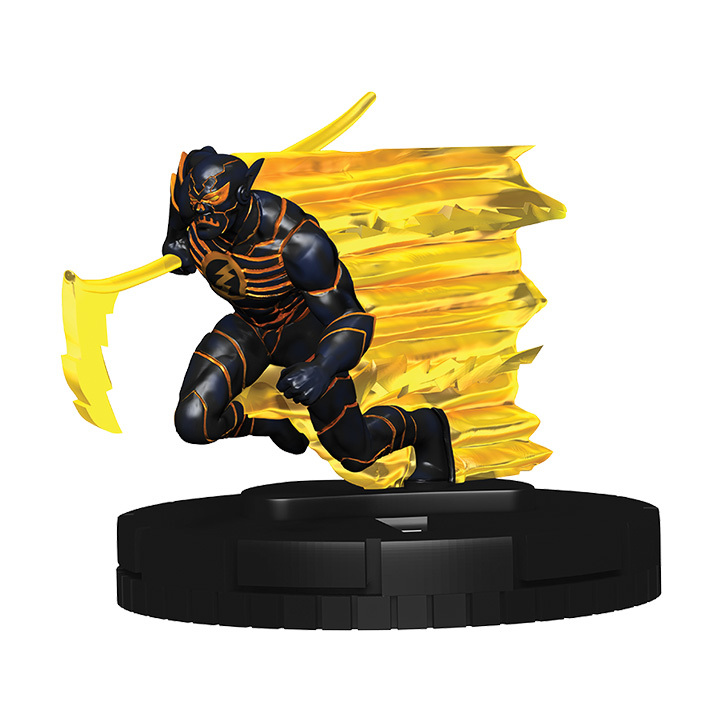 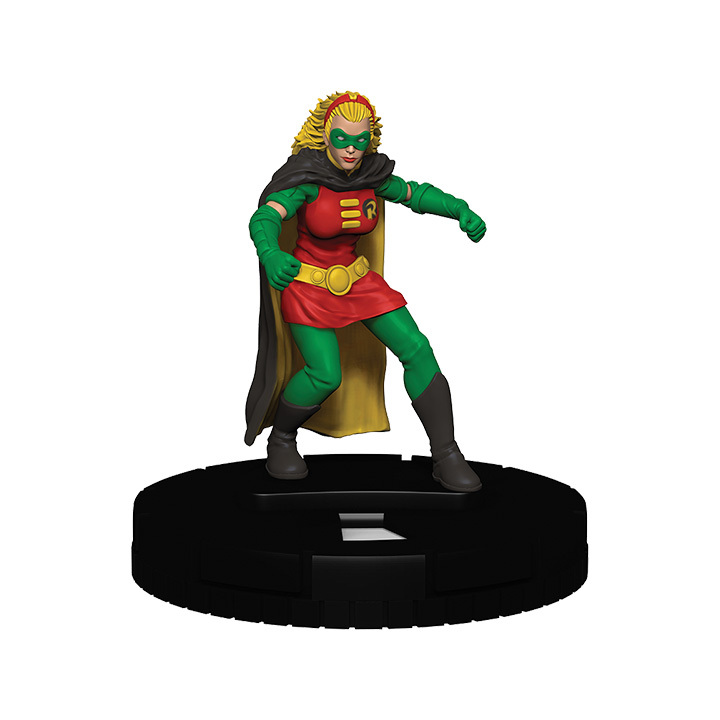 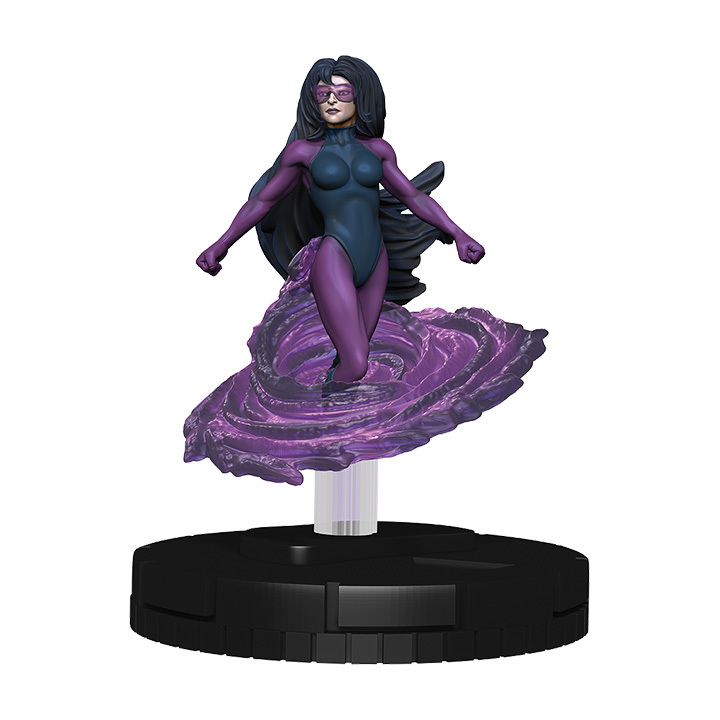 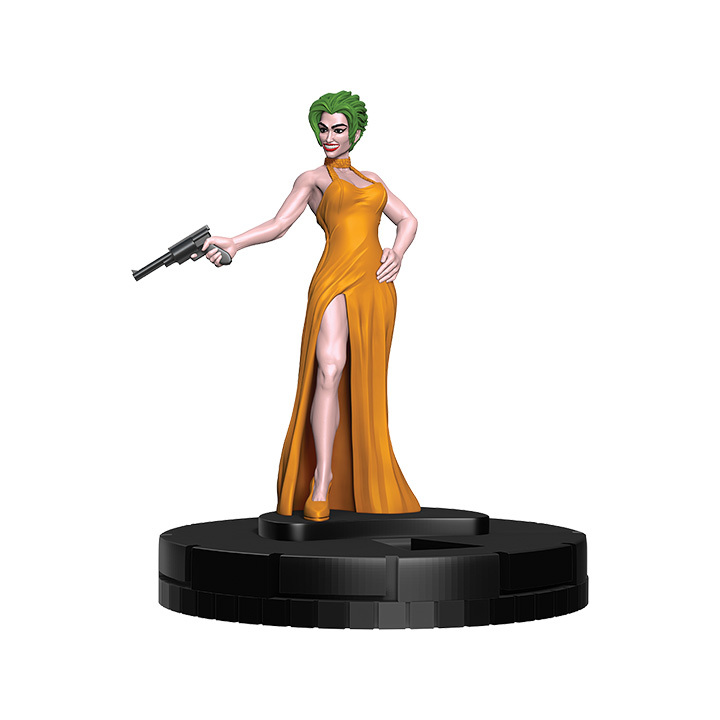 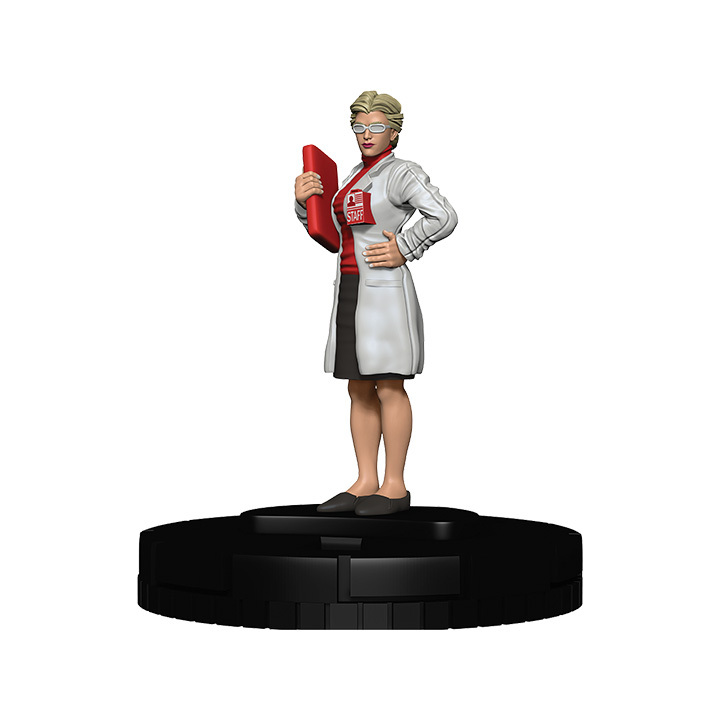 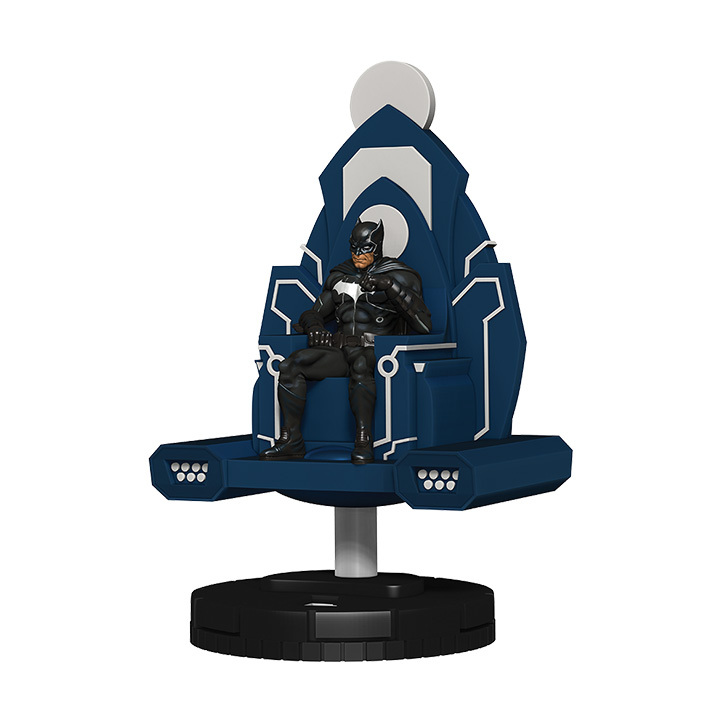 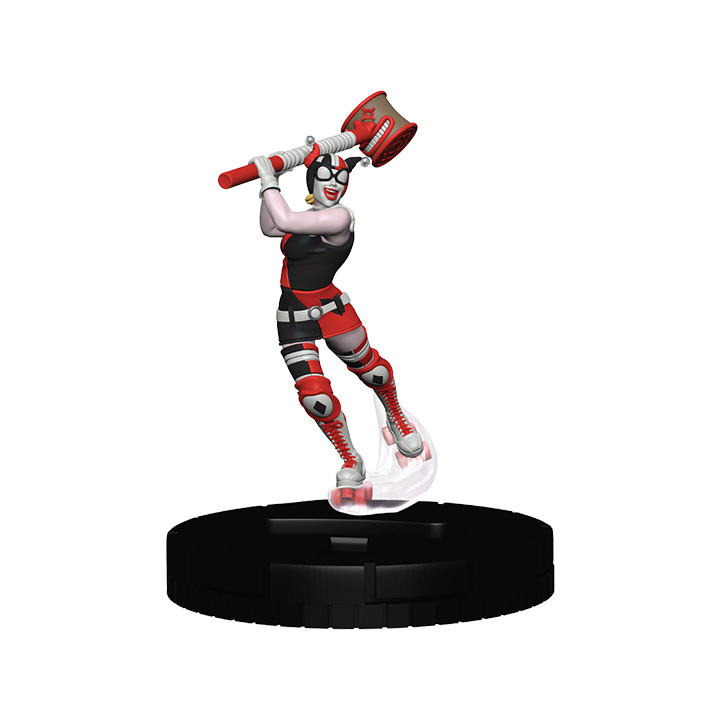 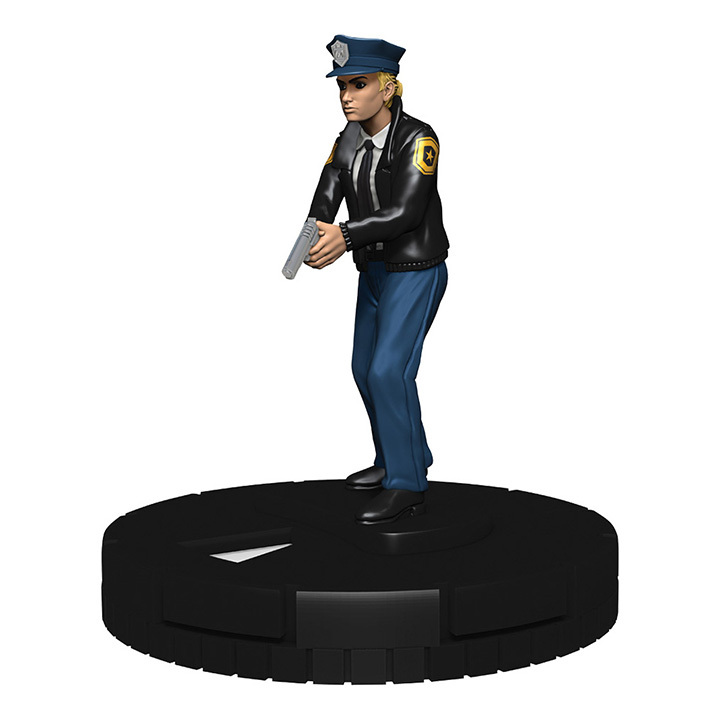 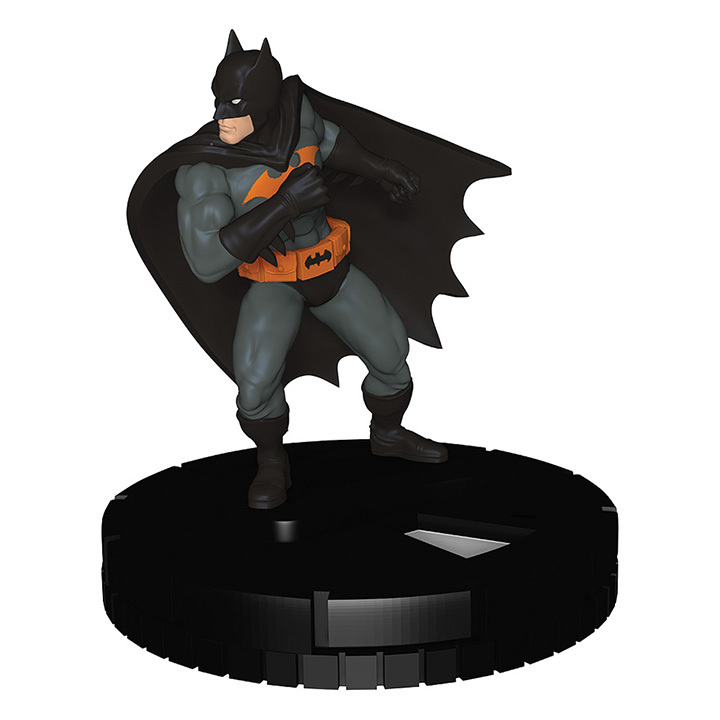 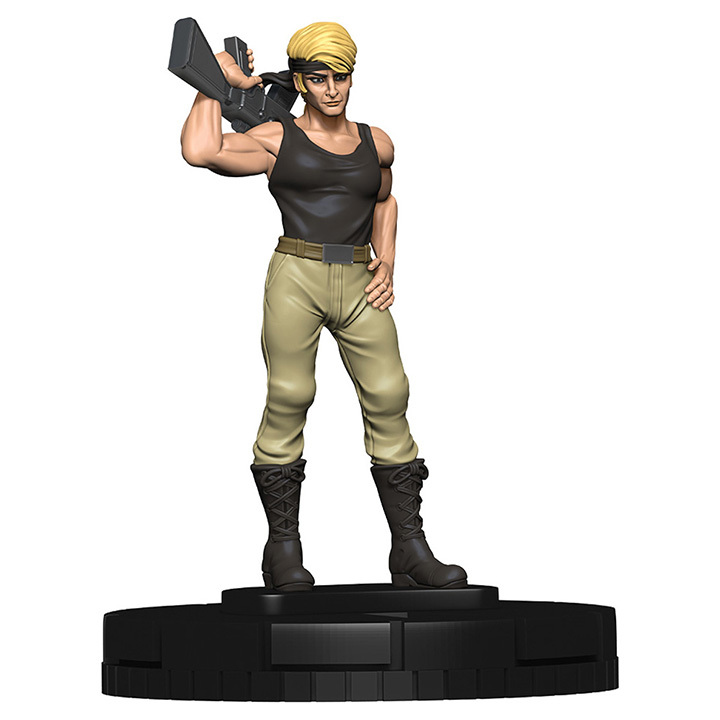 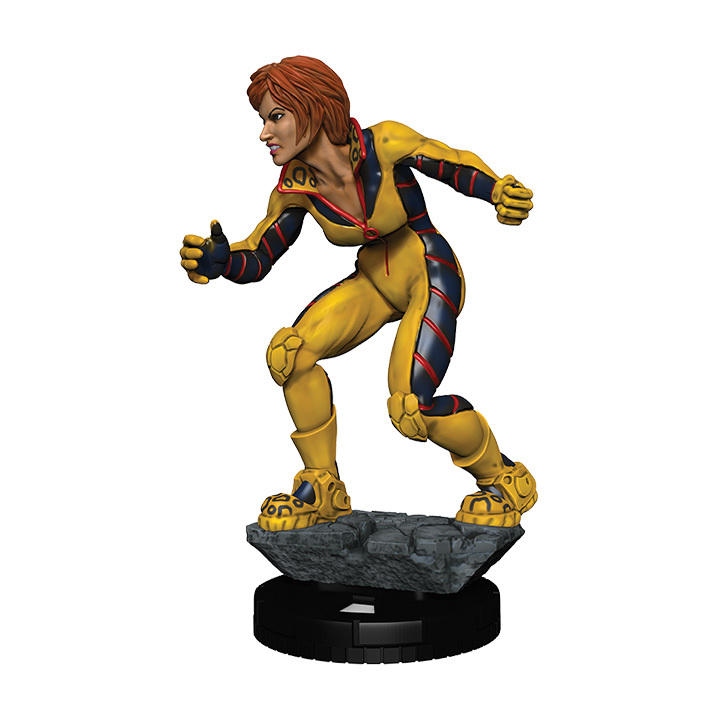 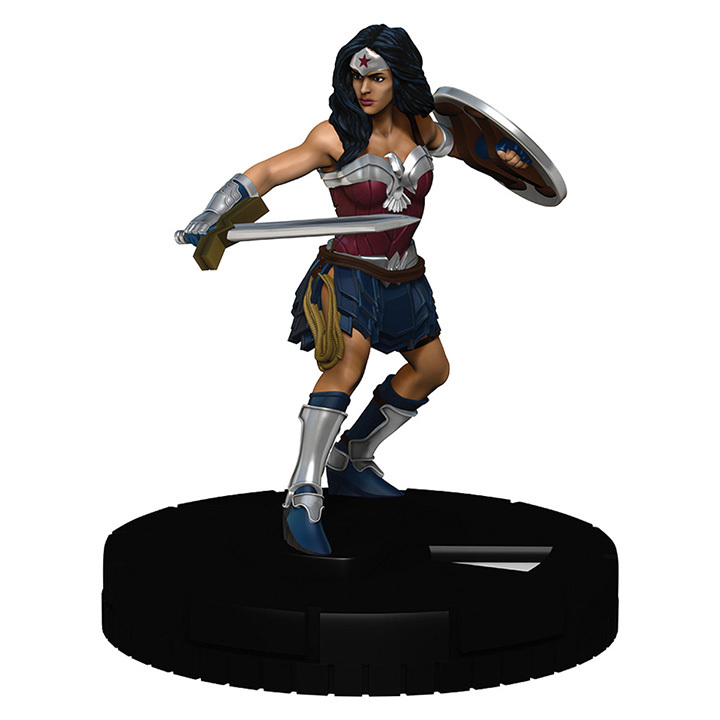 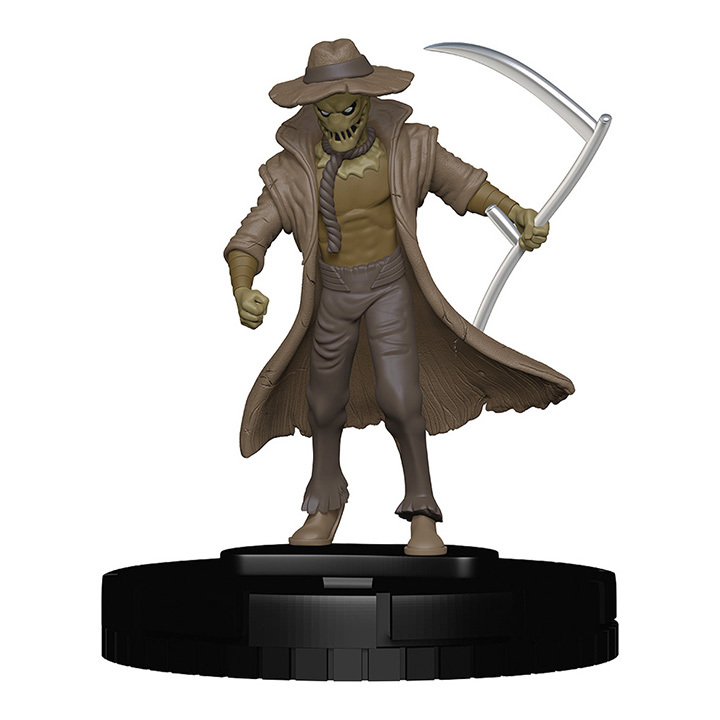 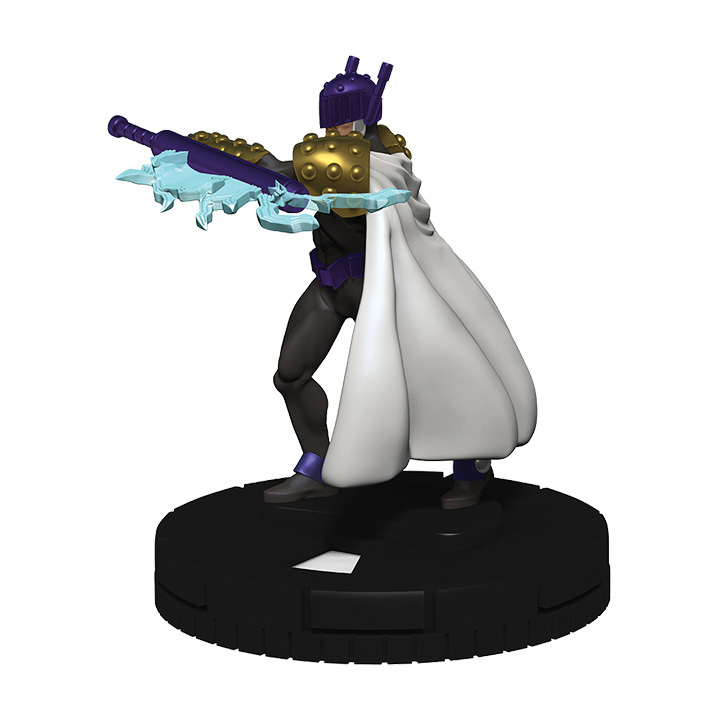 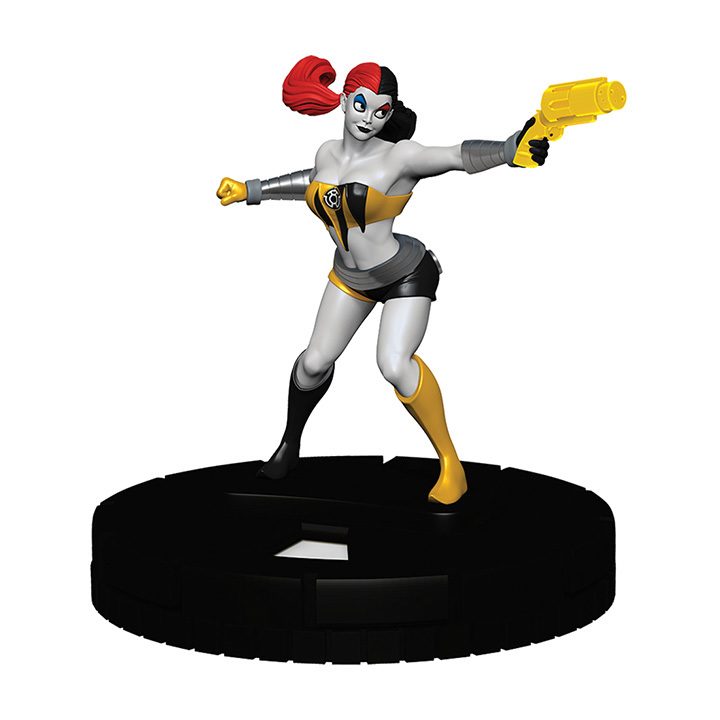 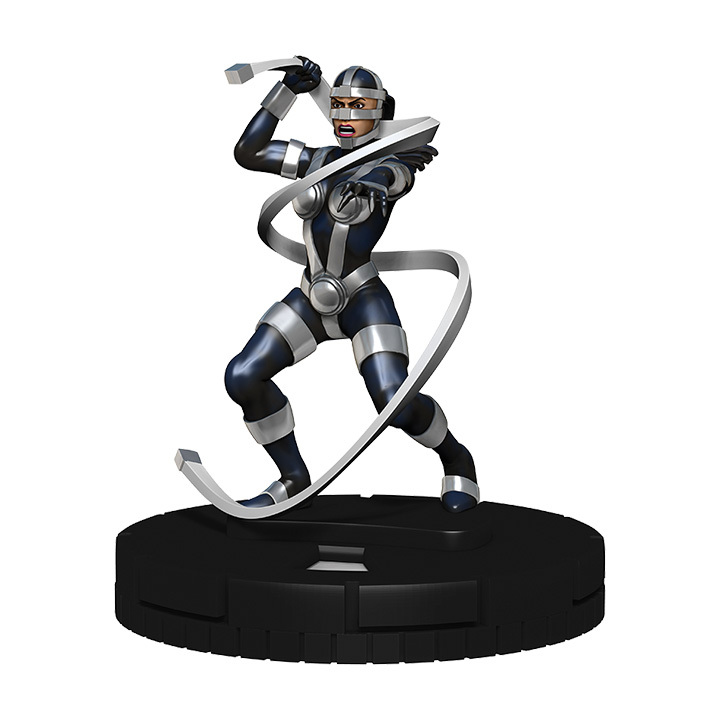 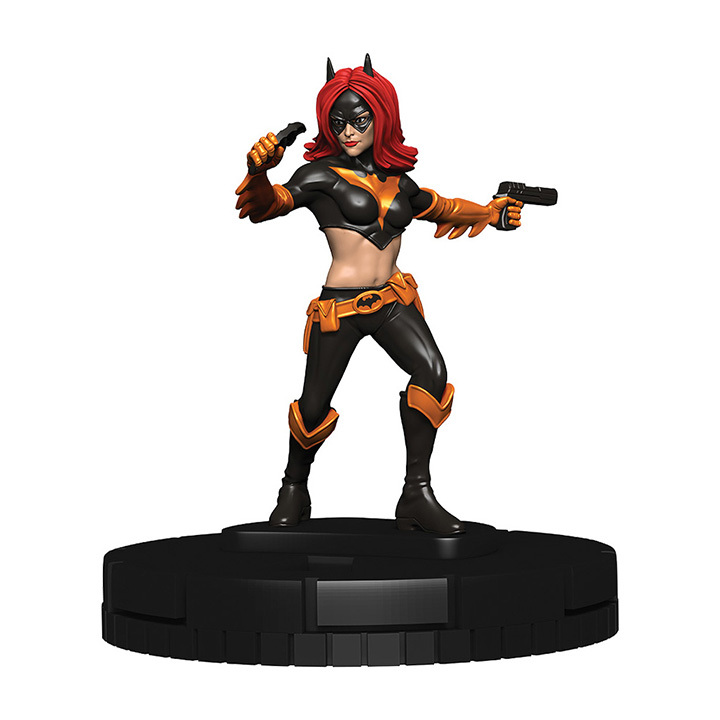 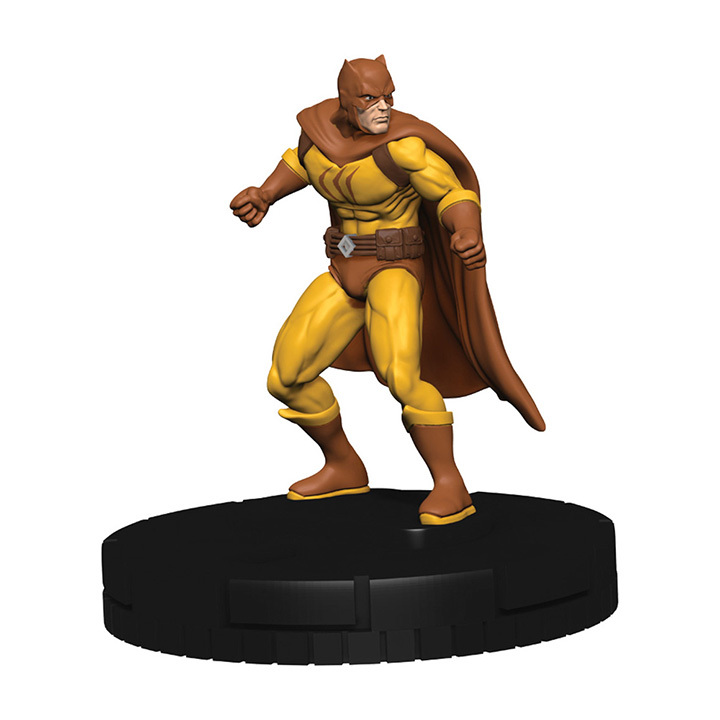 The DC Comics HeroClix: Harley Quinn and the Gotham Girls Fast Forces features 6 HeroClix figures with all-new dial designs, focusing on the Thrillkiller storyline from Elseworlds. 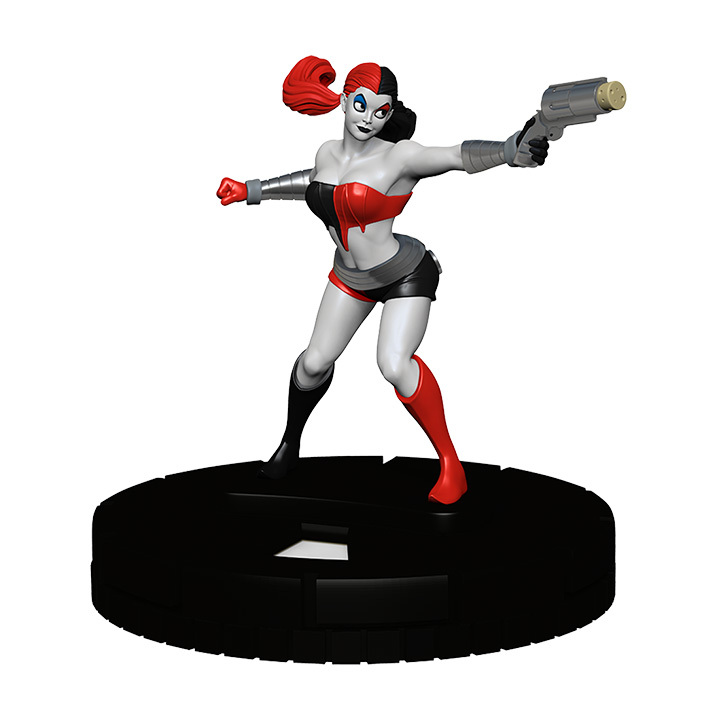 This pack is perfect for Harley Quinn and Batman fans alike and an excellent product for new and established players! 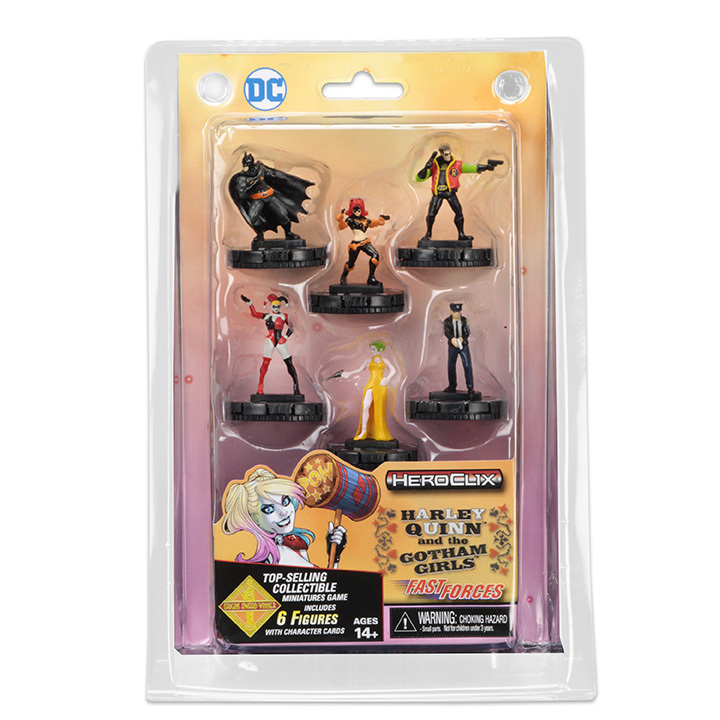 This Fast Forces features Harley Quinn, The Joker, Batgirl, Robin, Batman, and a GCPD Officer. 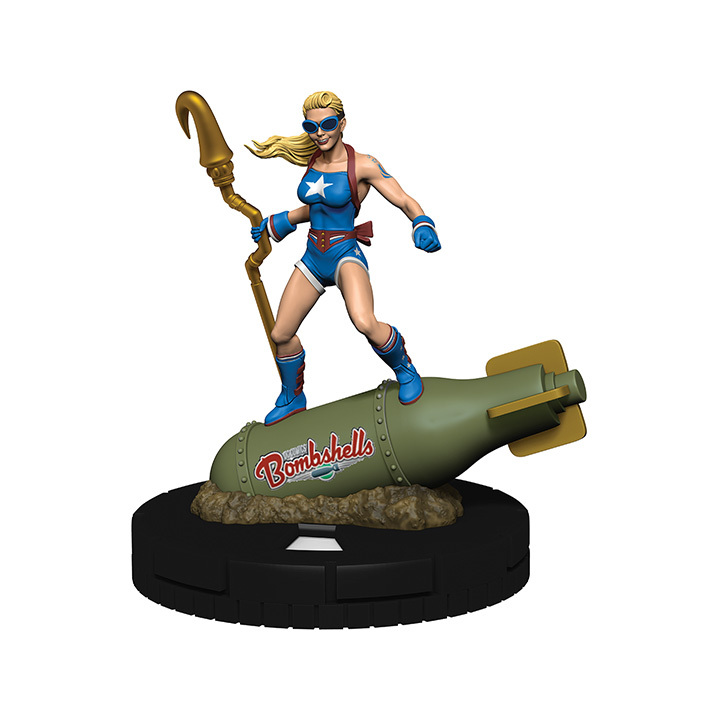 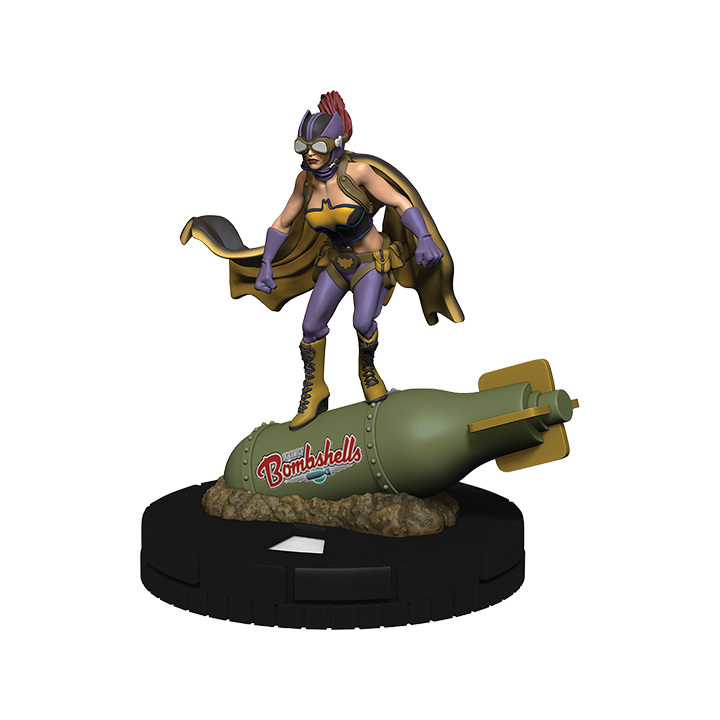 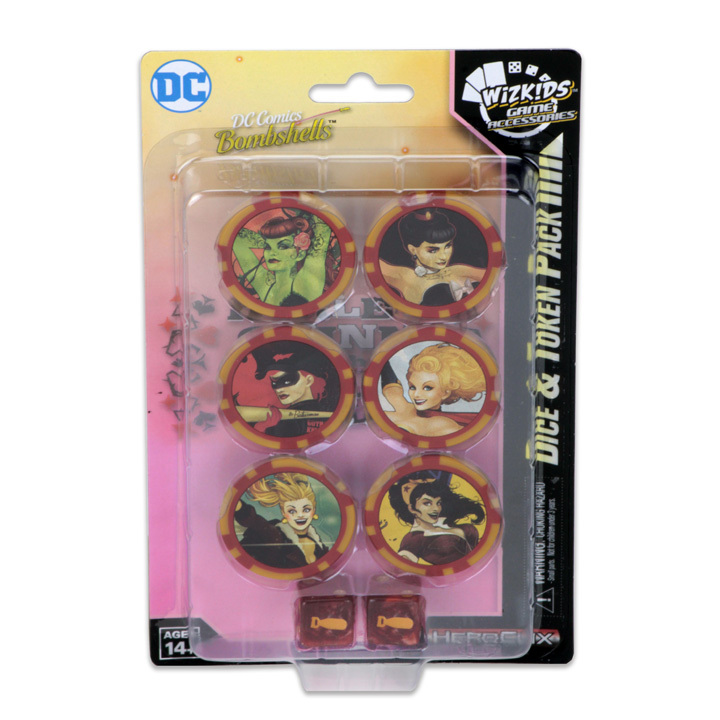 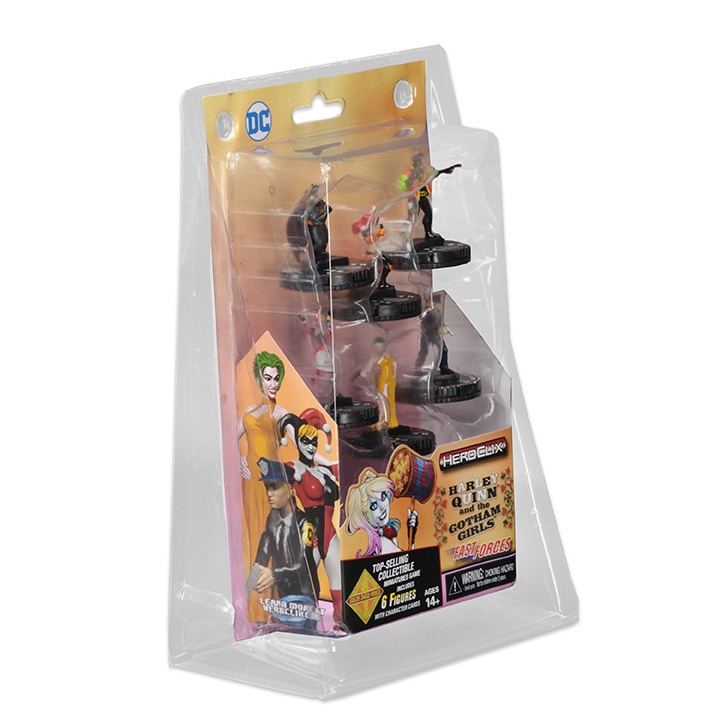 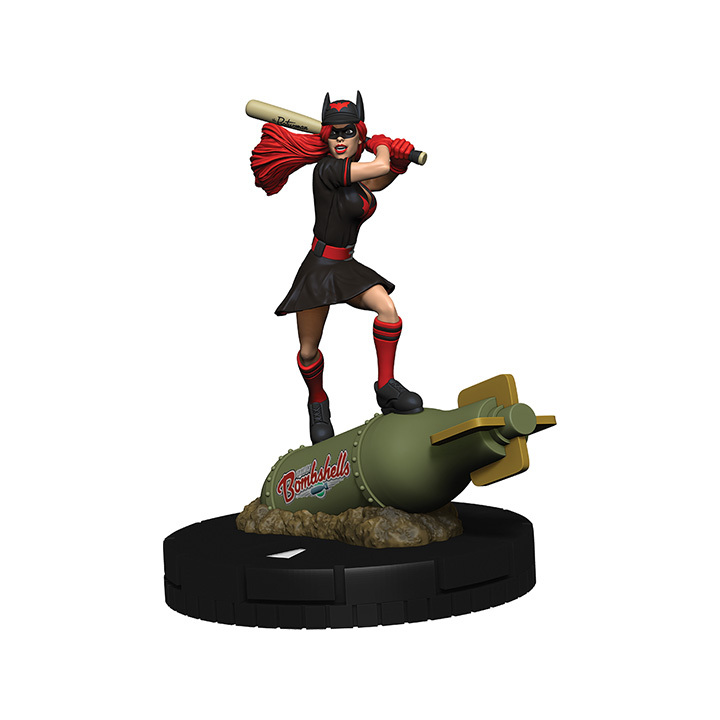 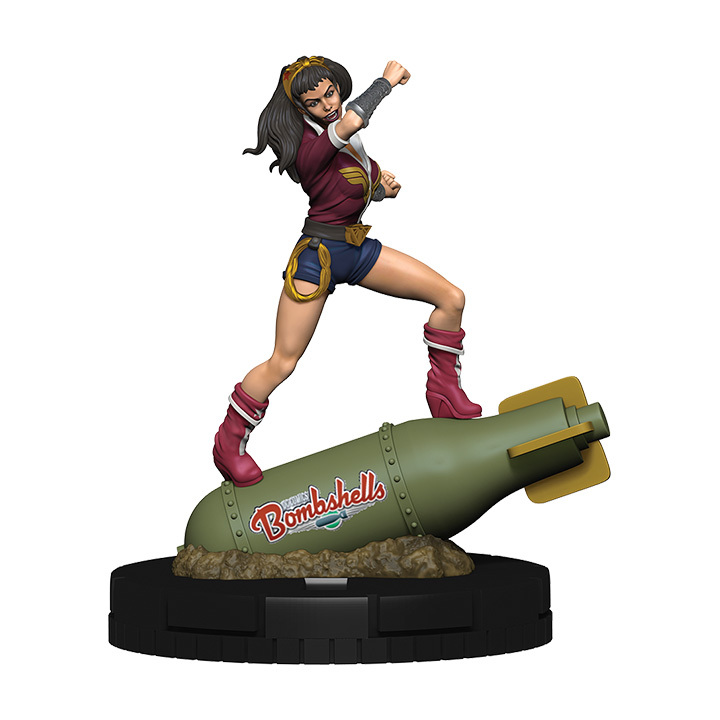 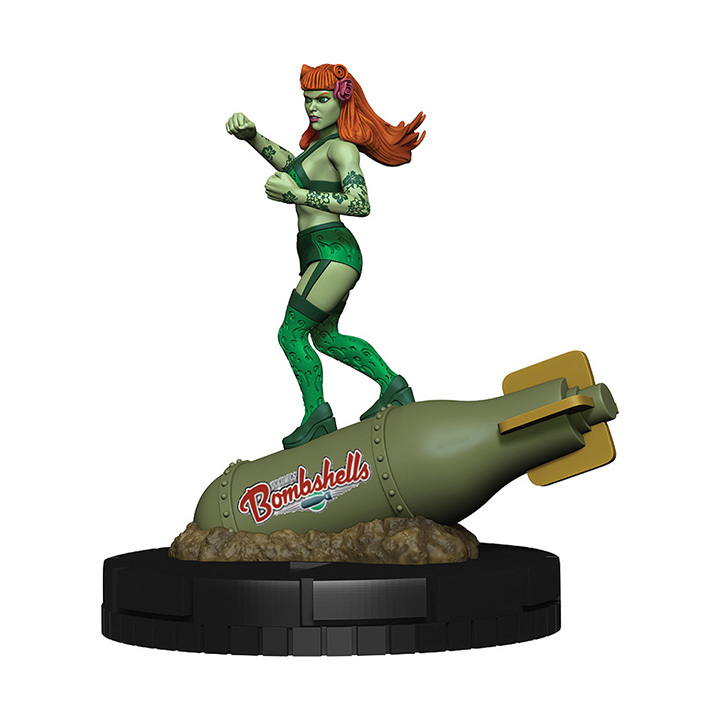 The DC Comics HeroClix: Harley Quinn and the Gotham Girls Dice & Token Pack contains two (2) custom dice featuring an icon of the DC Bombshells Bomb and six (6) custom action tokens featuring images of the DC Comics Bombshells. 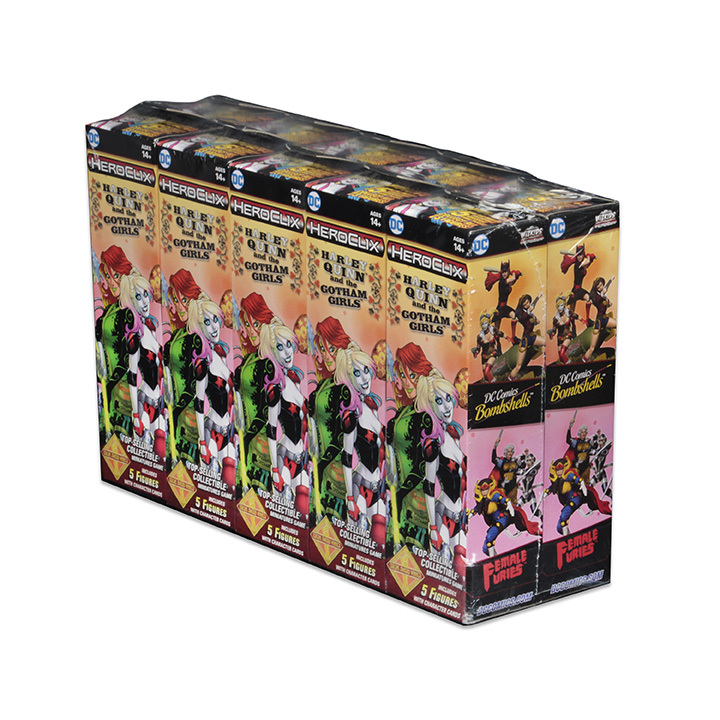 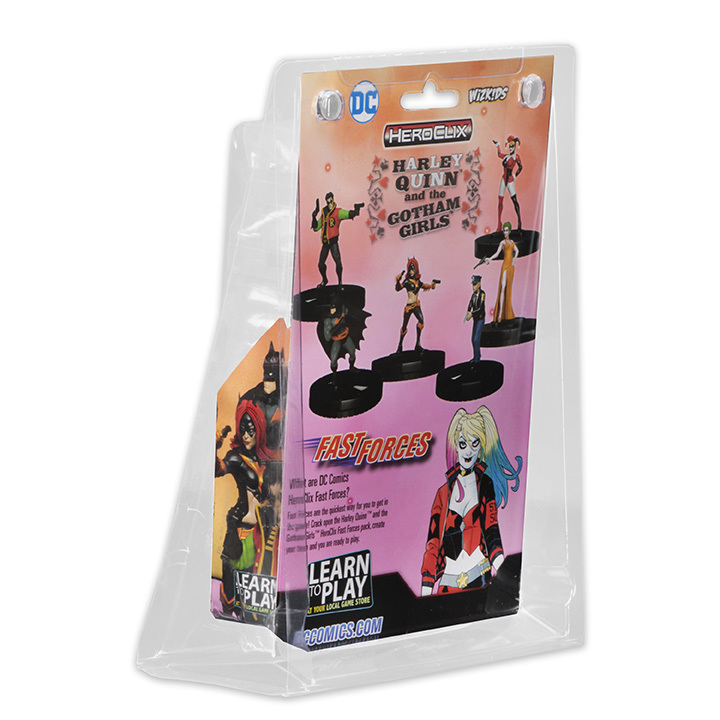 The DC Comics HeroClix: Harley Quinn and the Gotham Girls Dice & Token Pack is a great way for players to enhance their HeroClix experience!